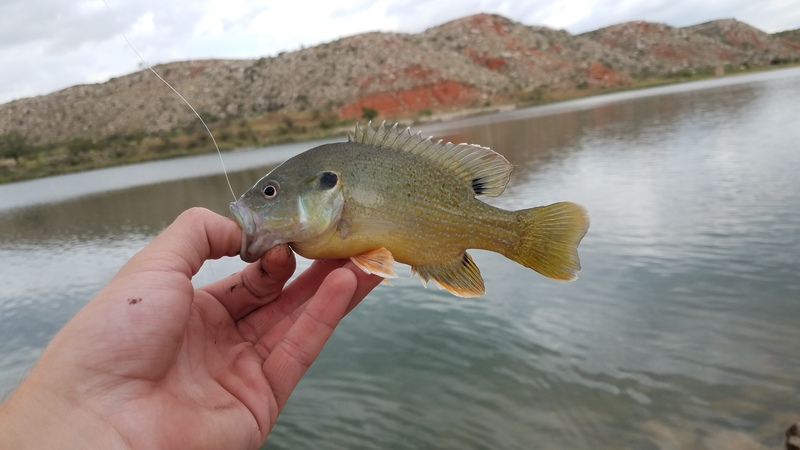 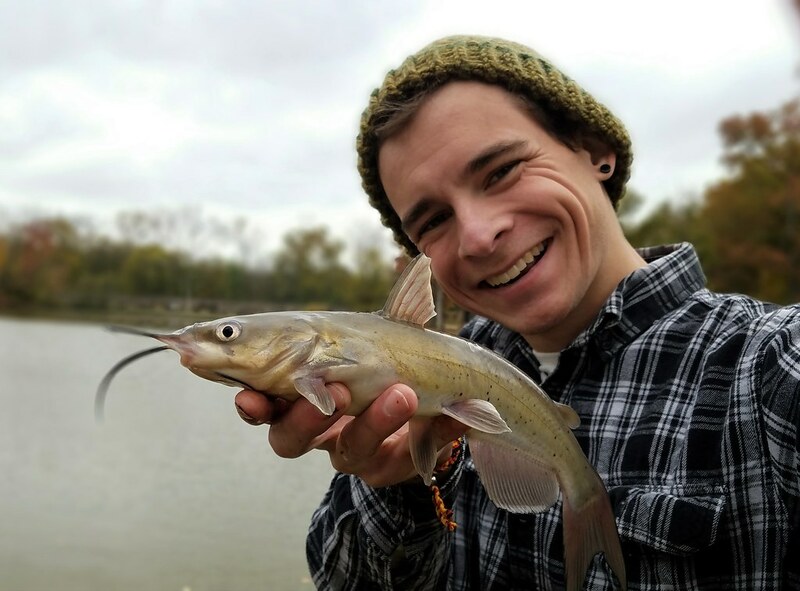 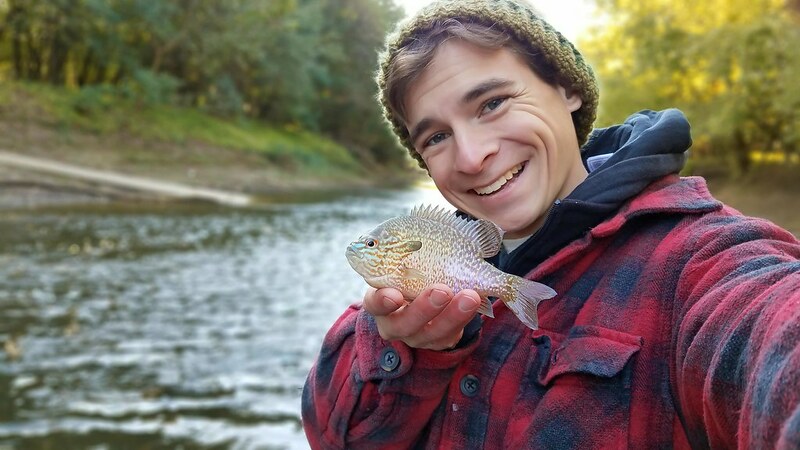 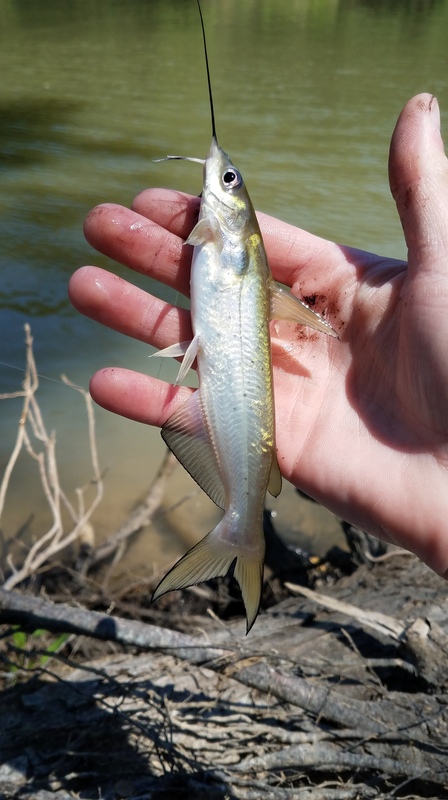 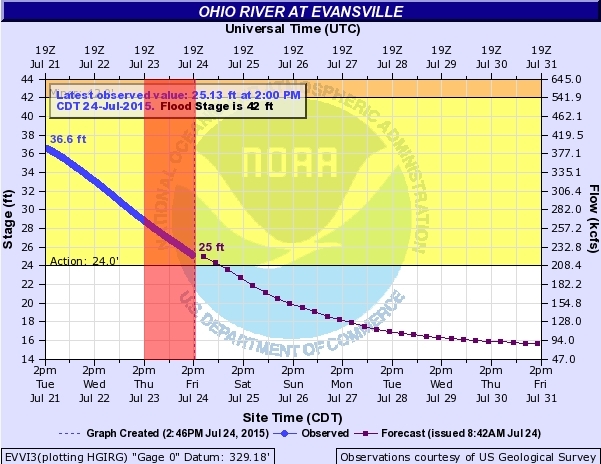 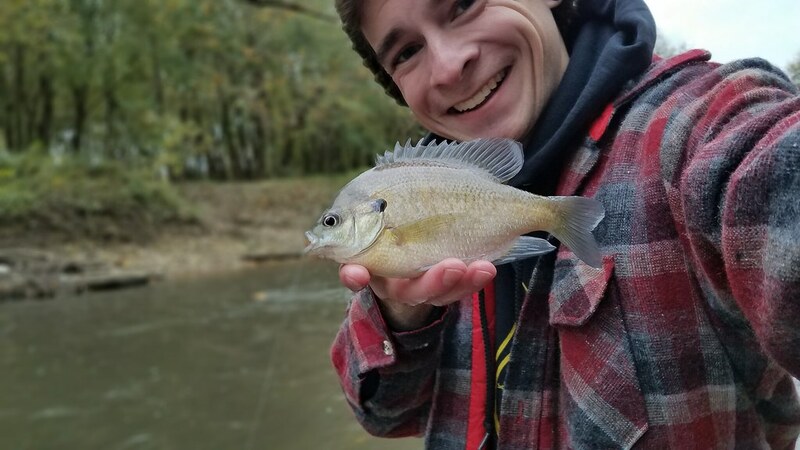 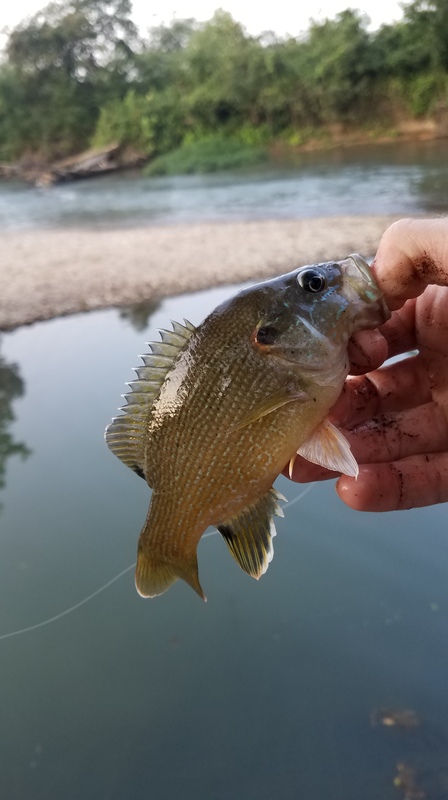 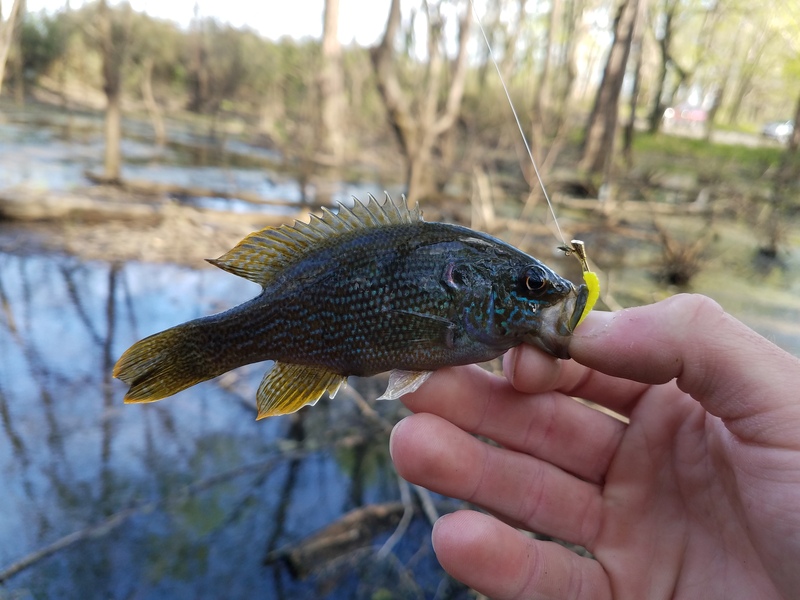 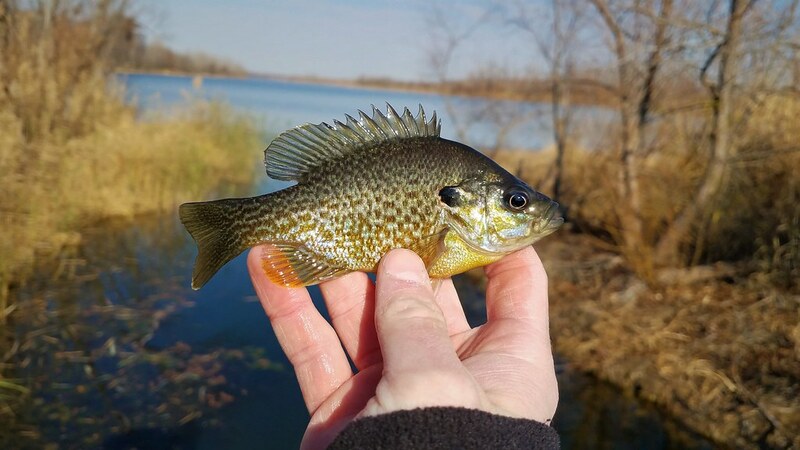 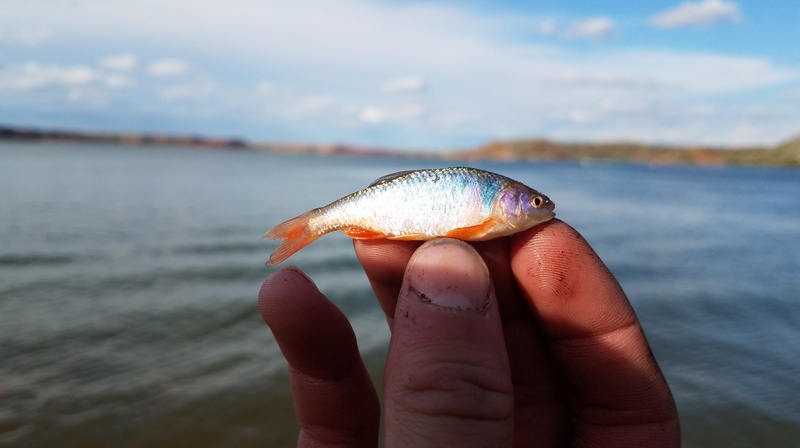 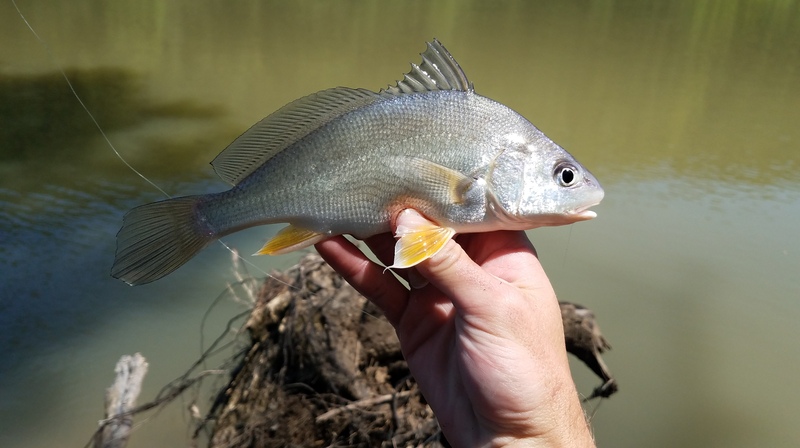 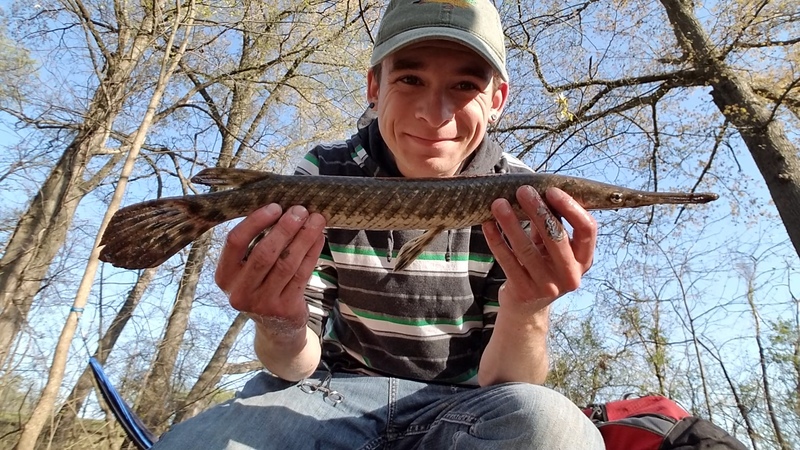 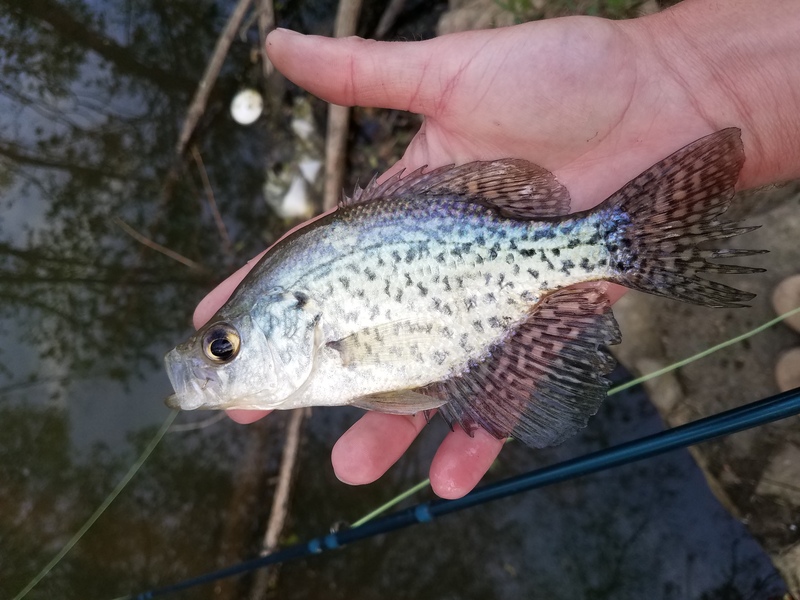 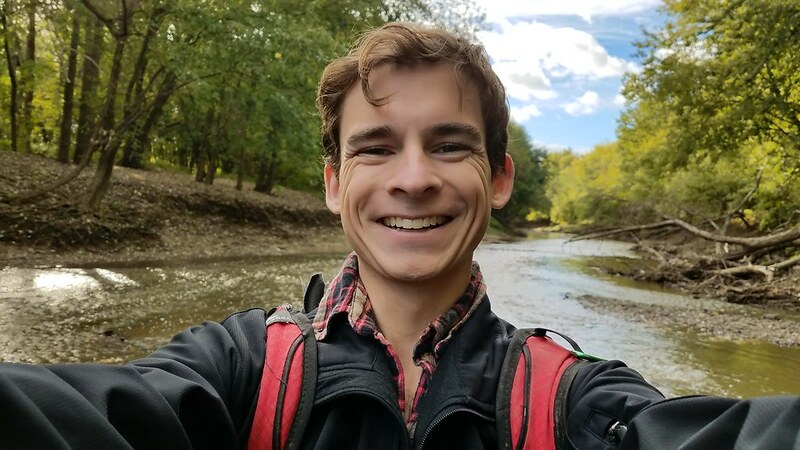 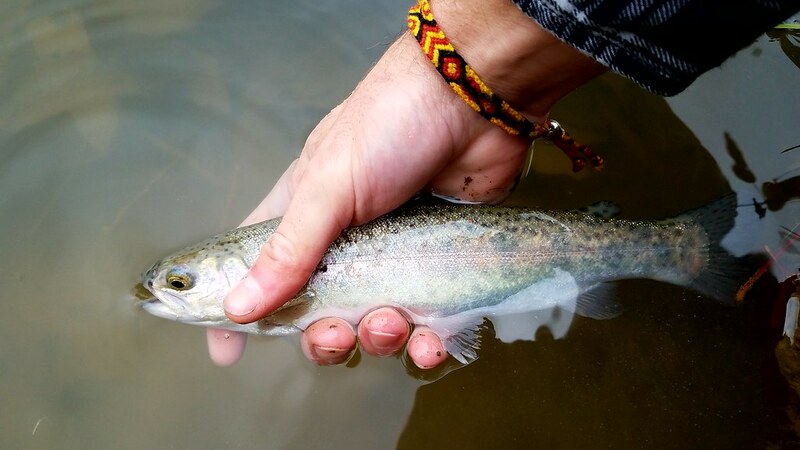 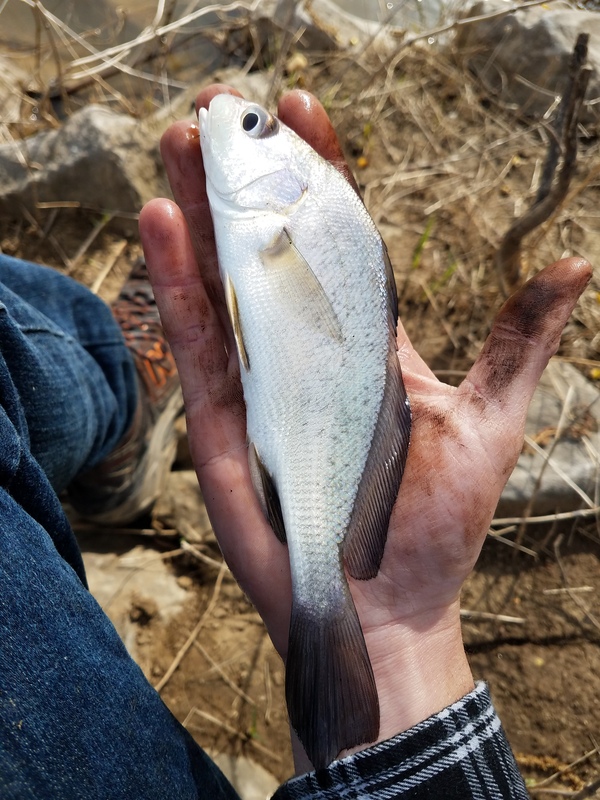 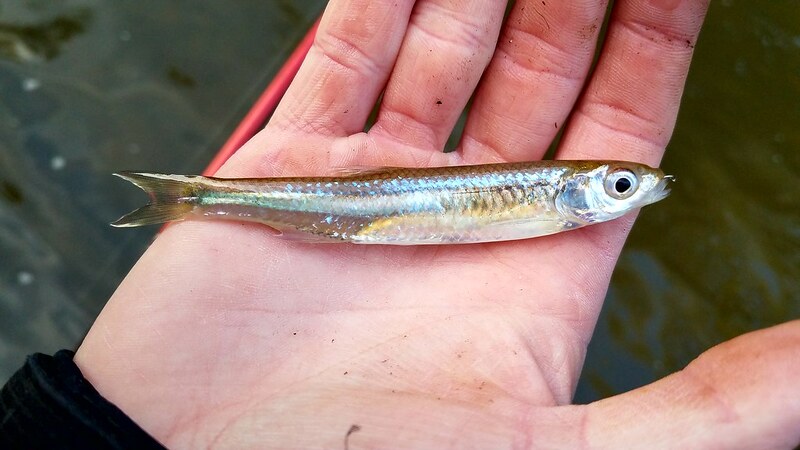 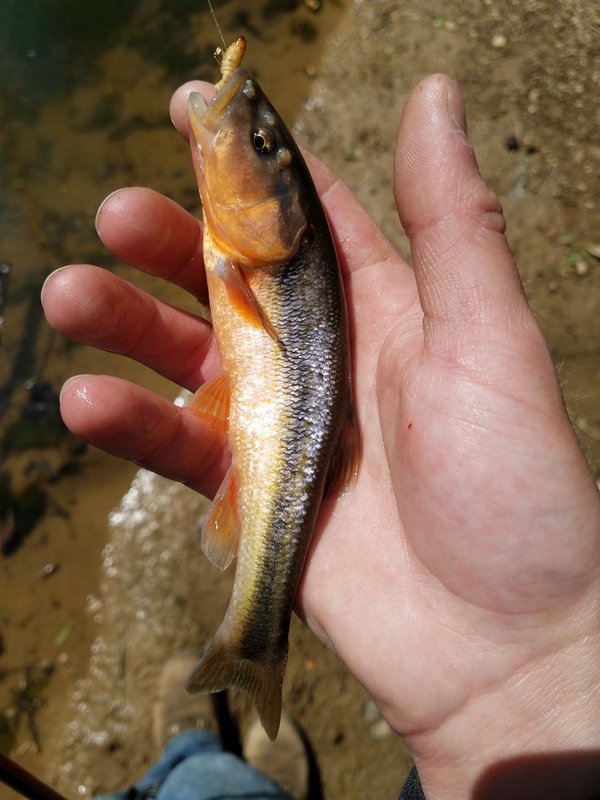 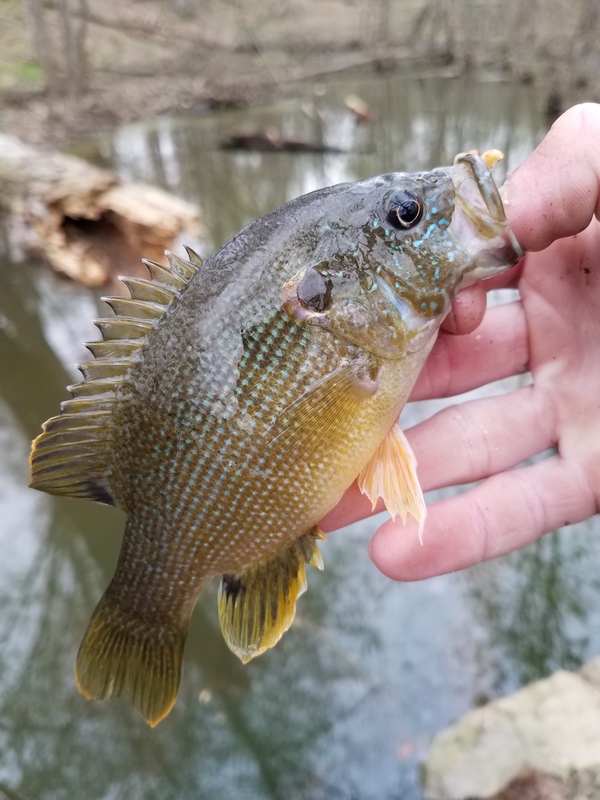 The fishing conditions were hard this go around: The river was projected to fall 4 feet the day I was out, it was high for this time of year and there were no noticeable schools of bait-fish. 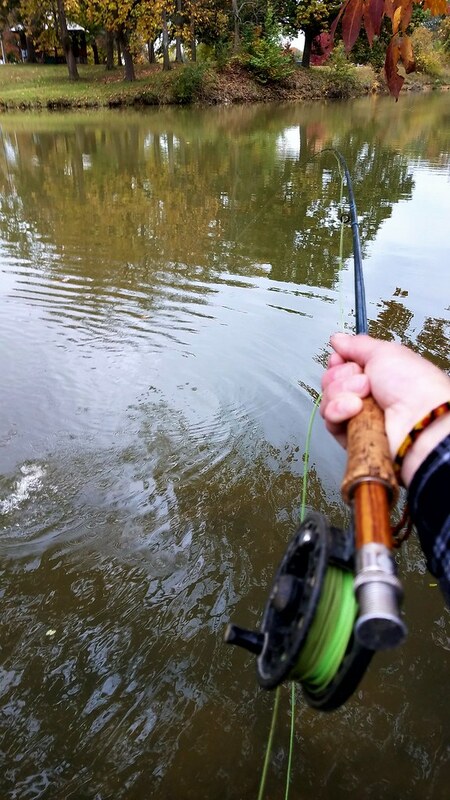 But that would never stop me from trying to catch a few fish. 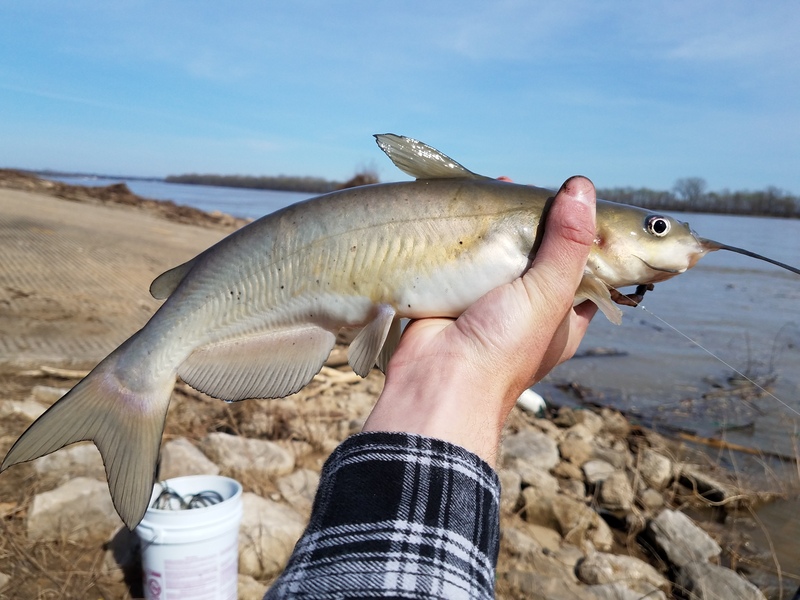 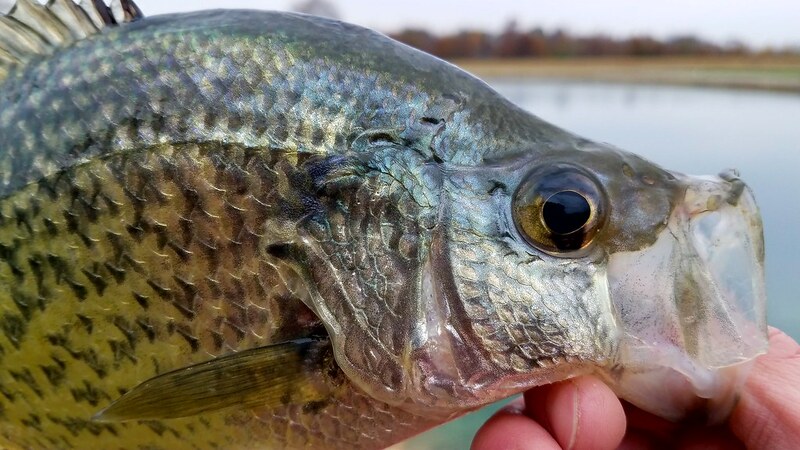 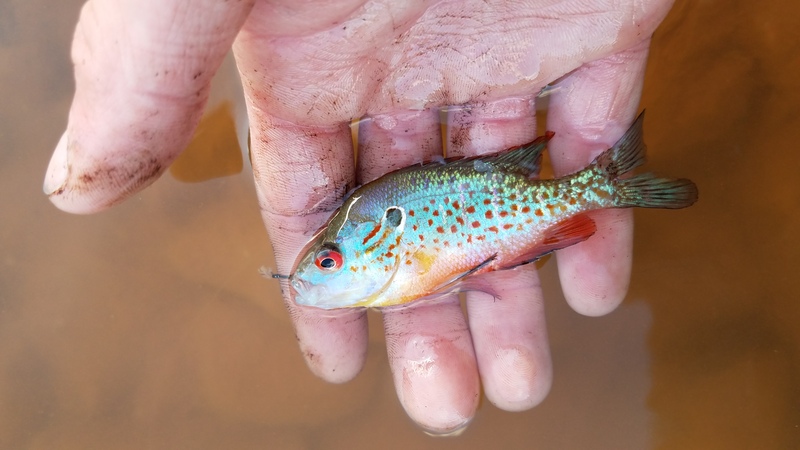 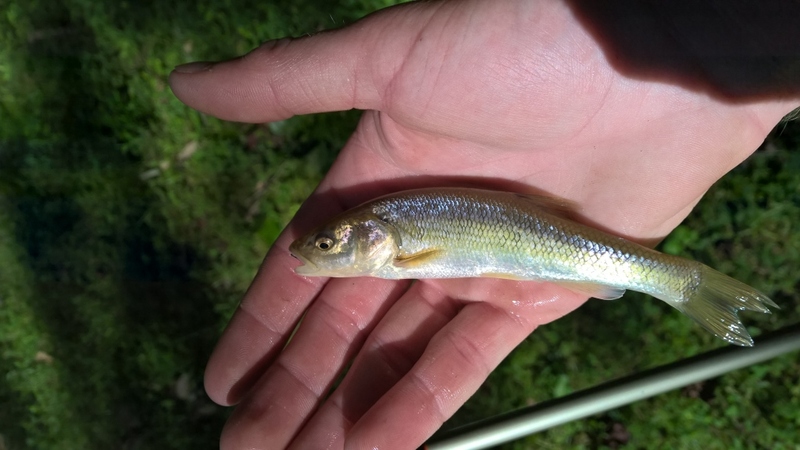 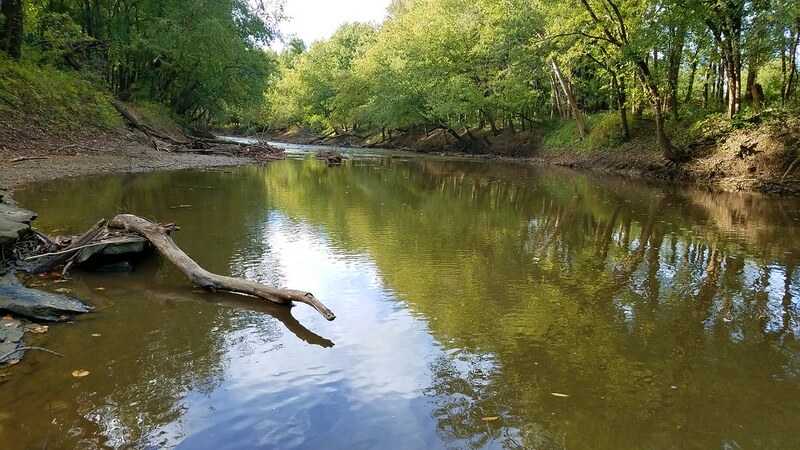 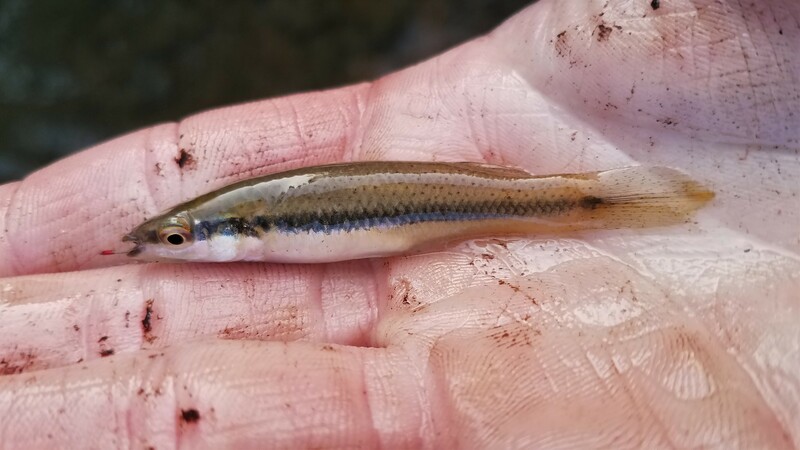 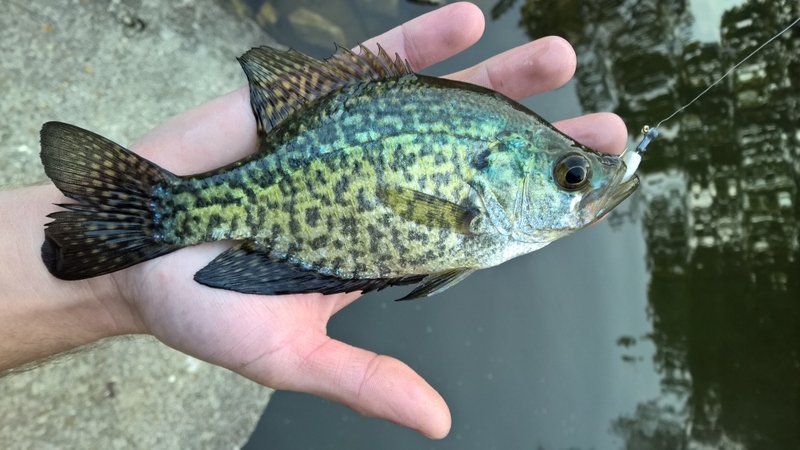 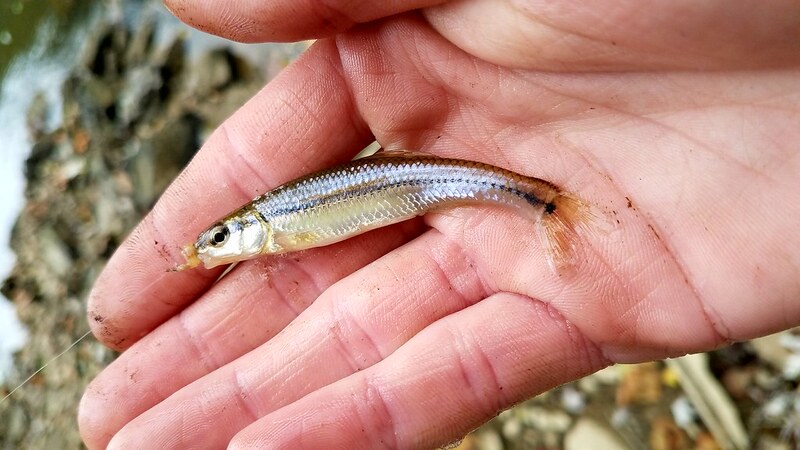 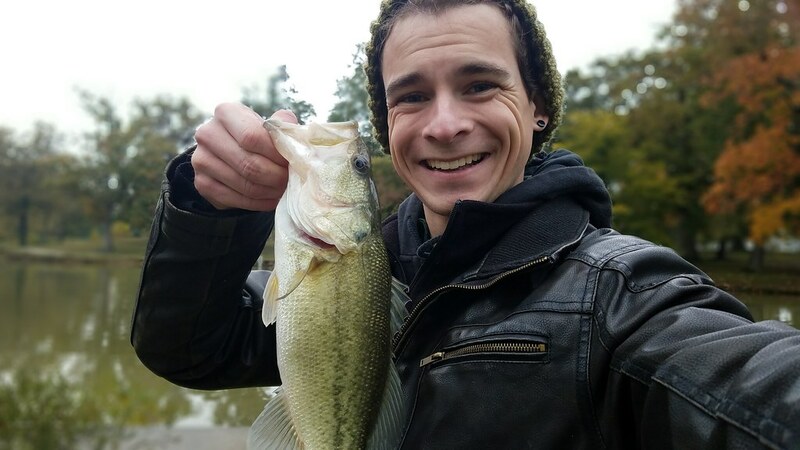 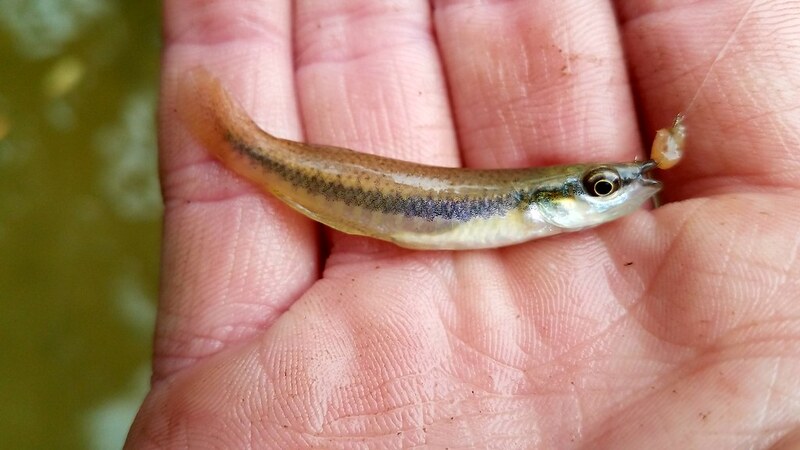 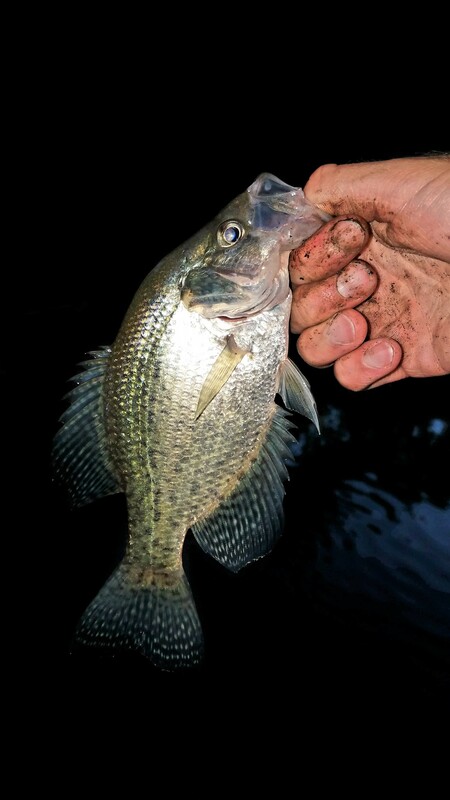 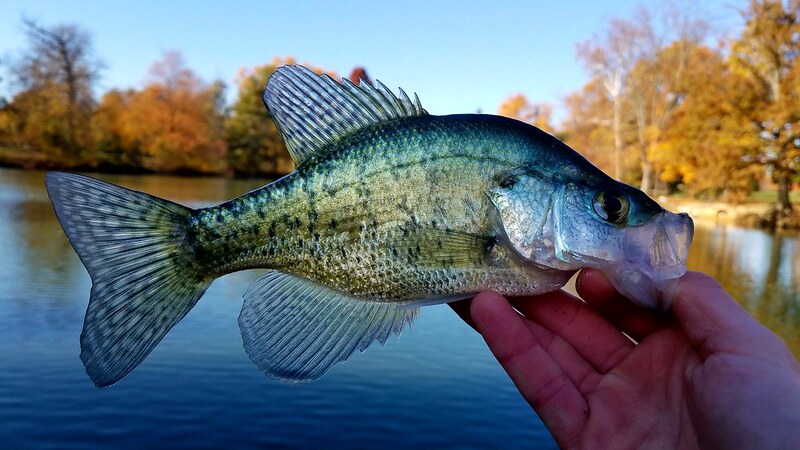 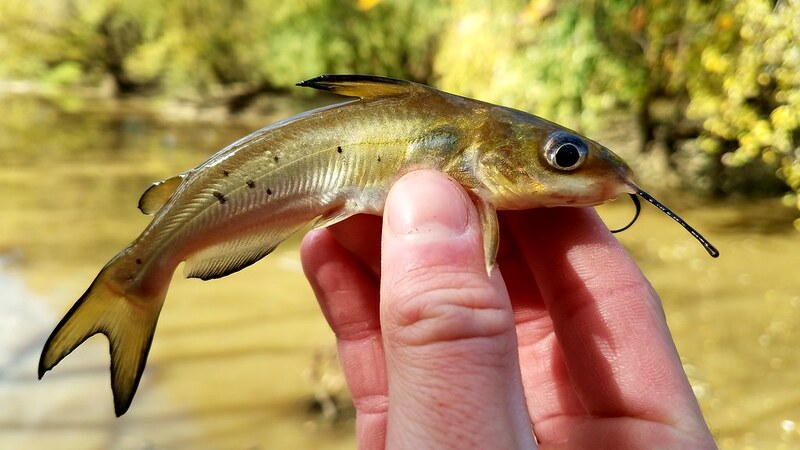 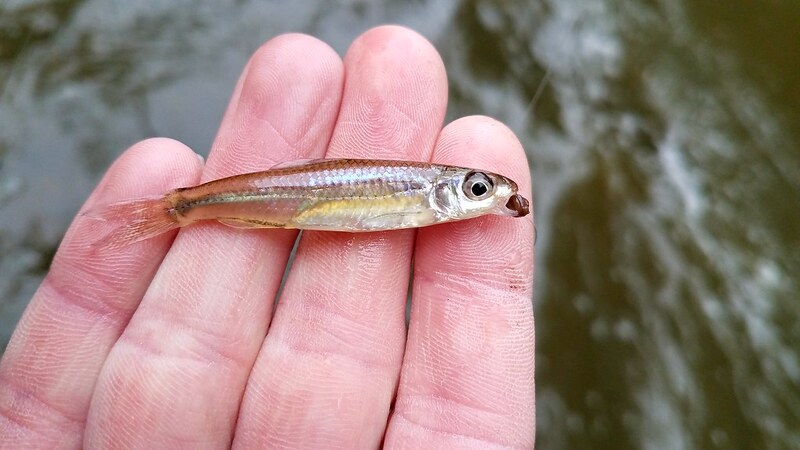 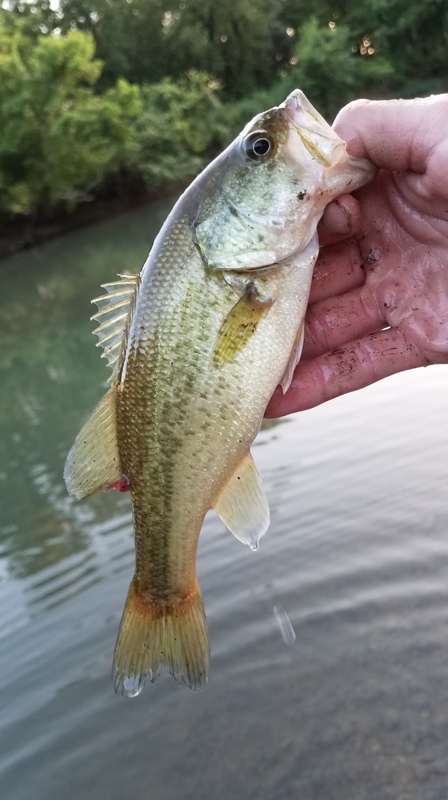 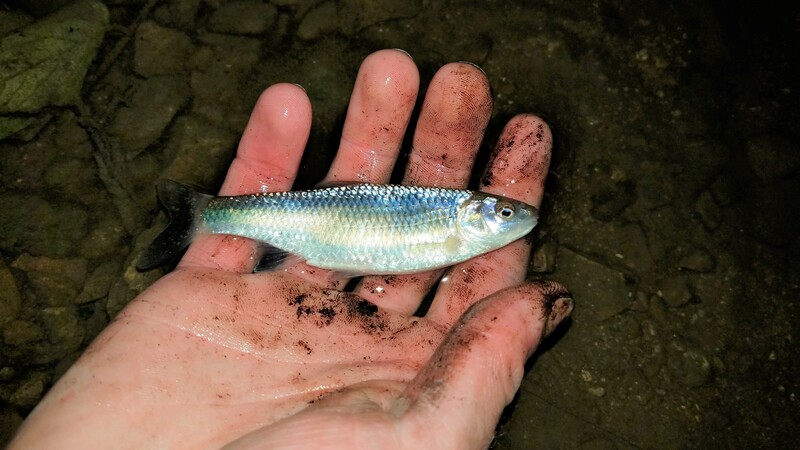 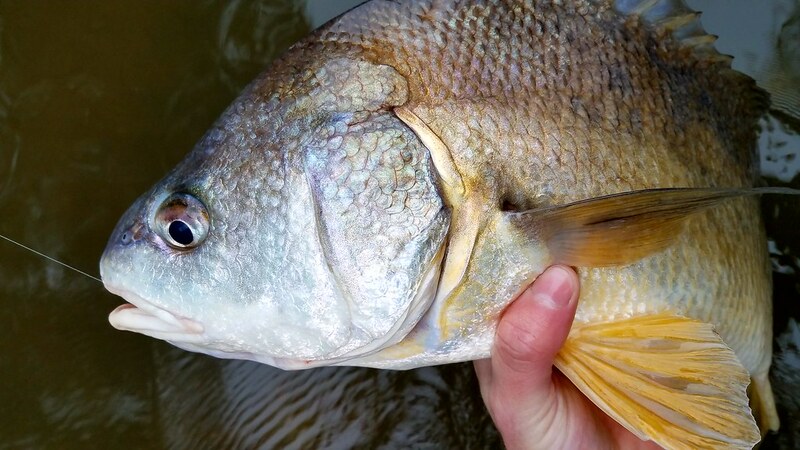 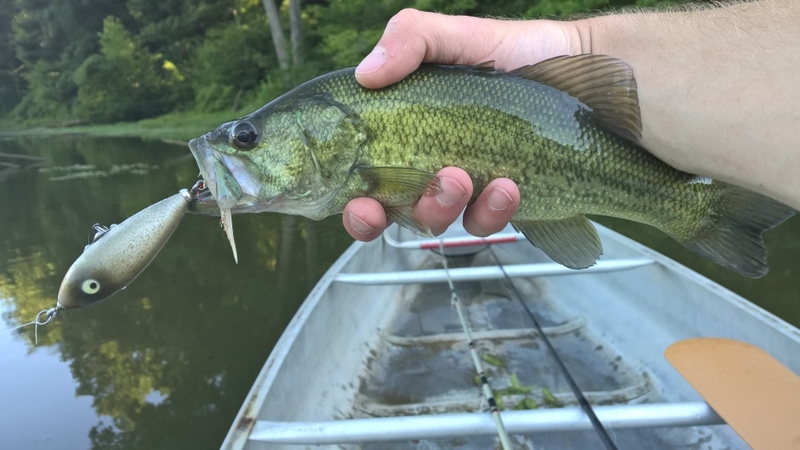 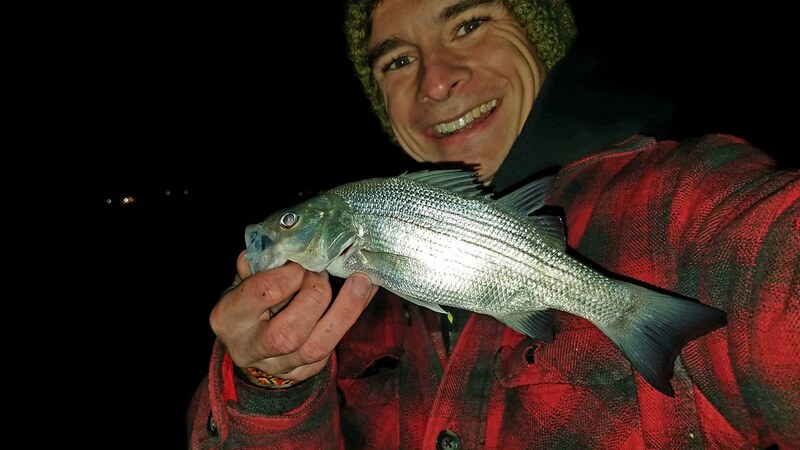 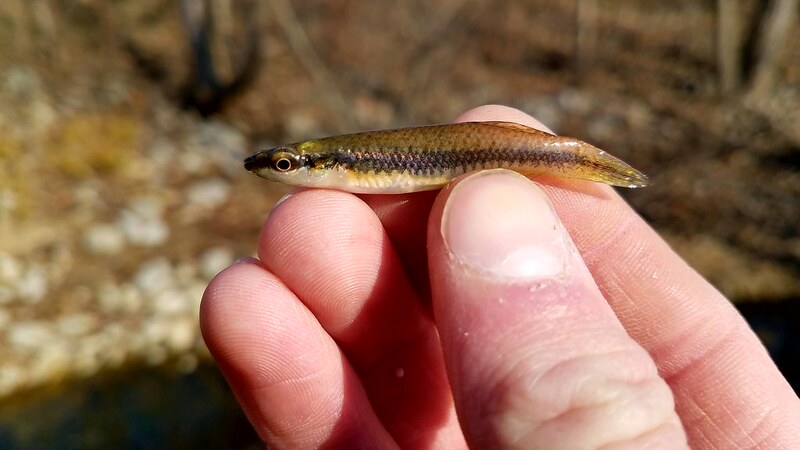 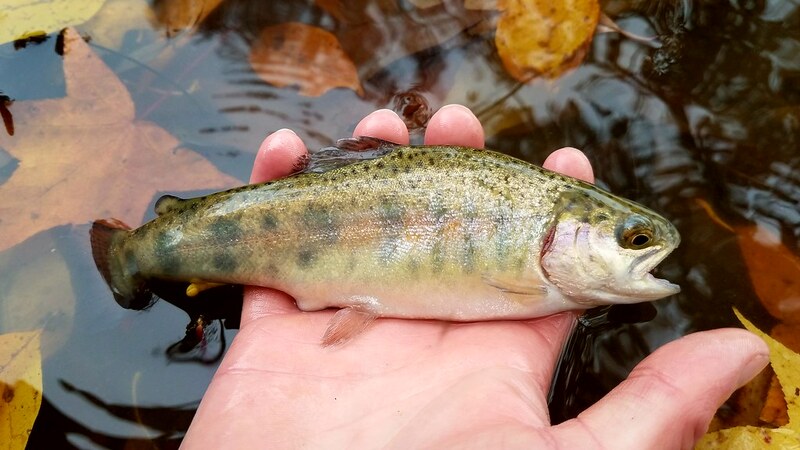 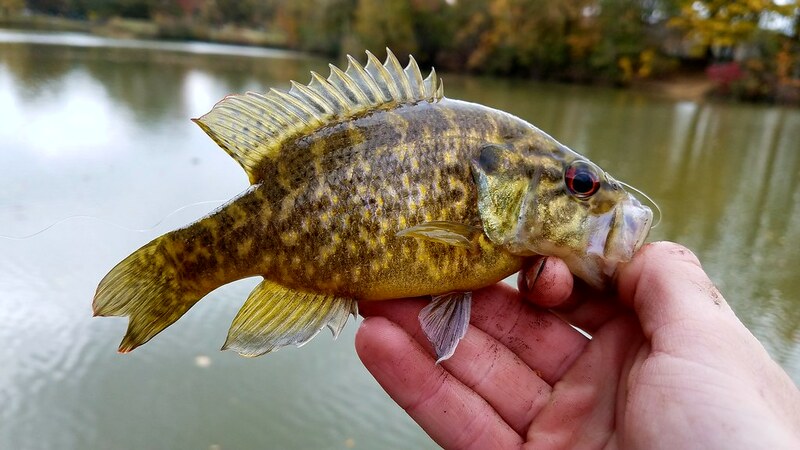 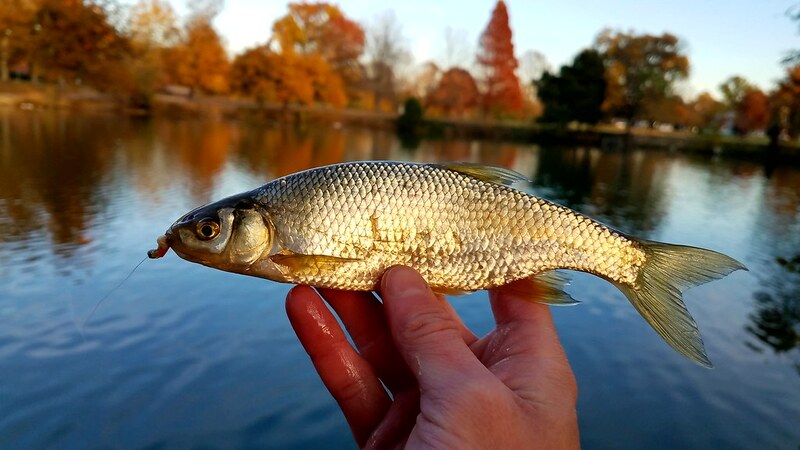 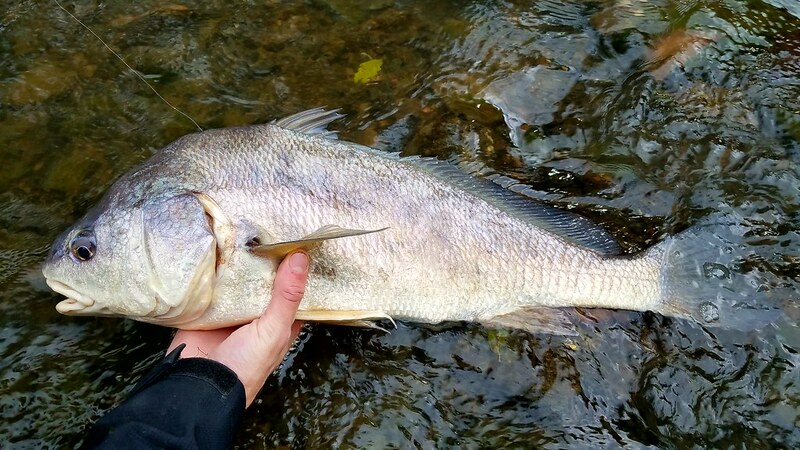 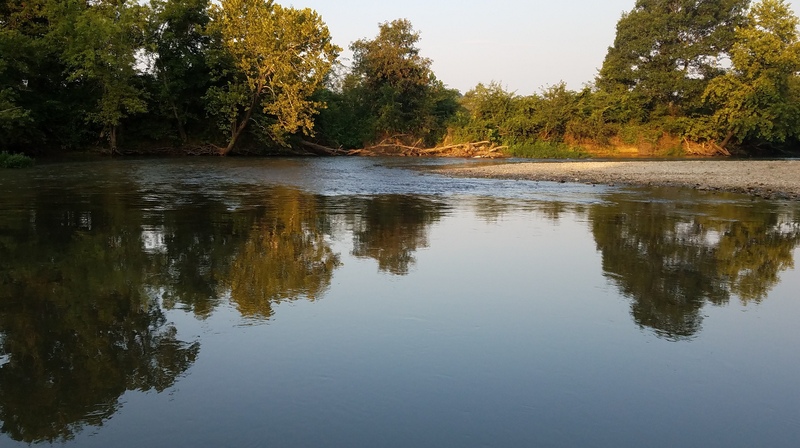 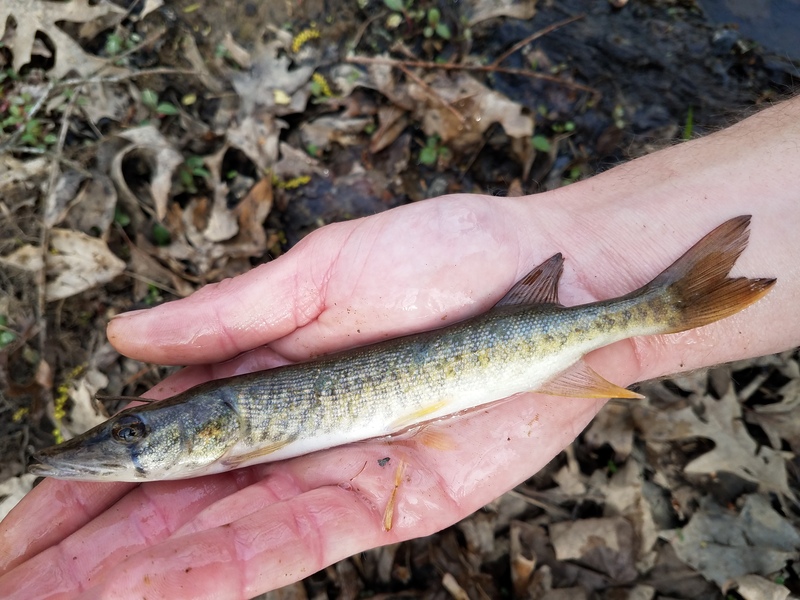 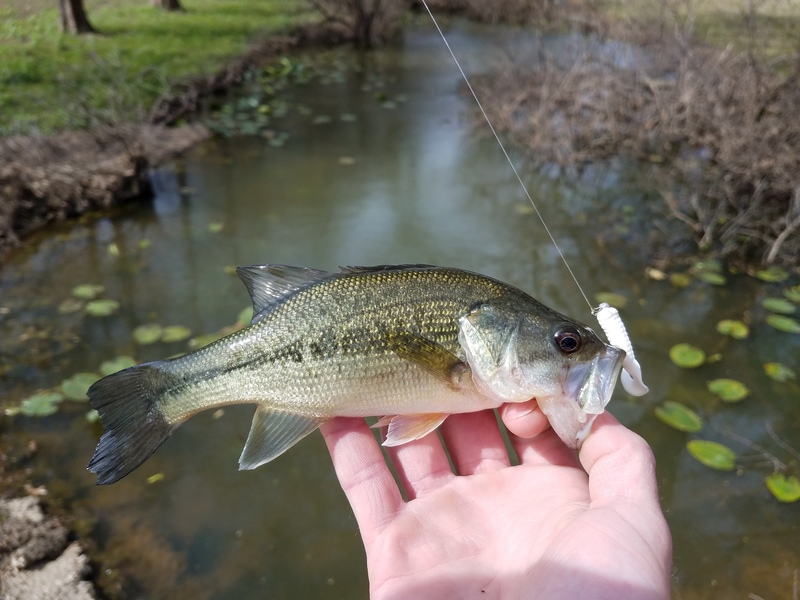 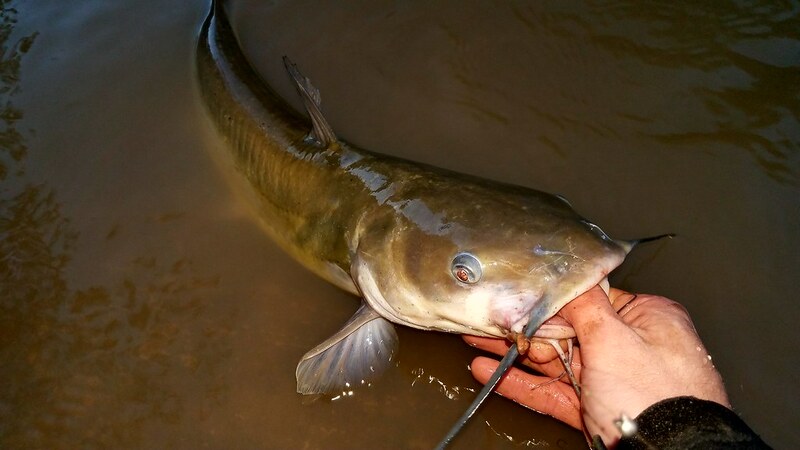 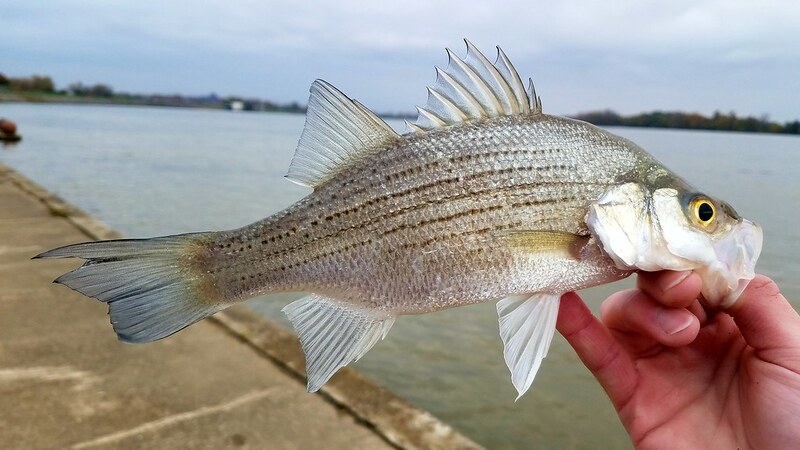 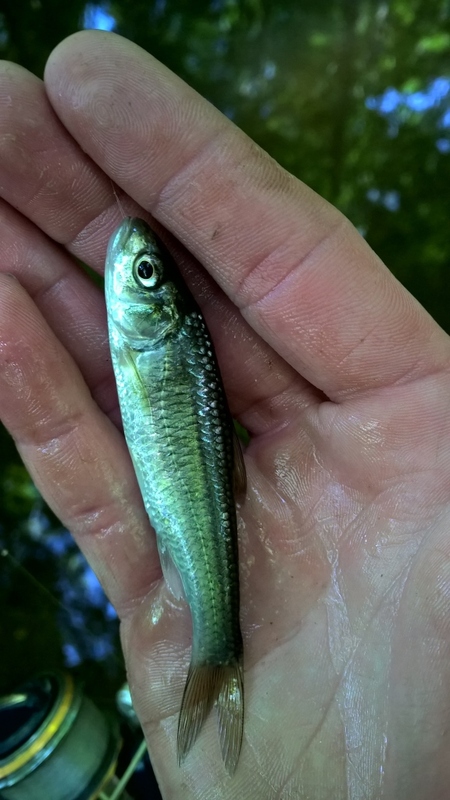 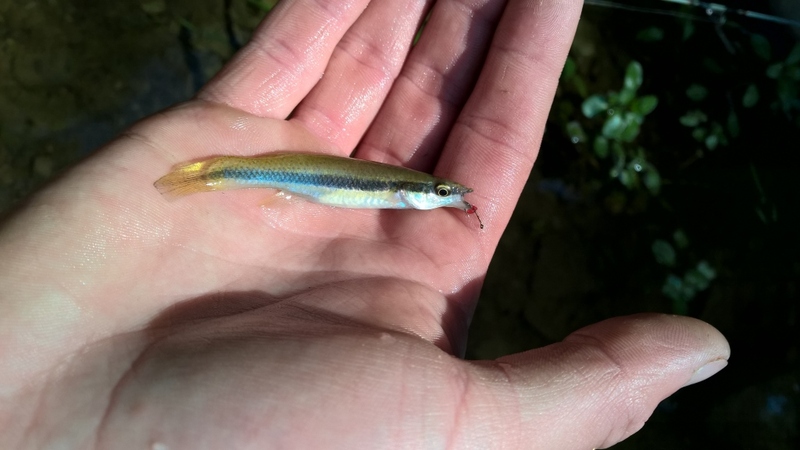 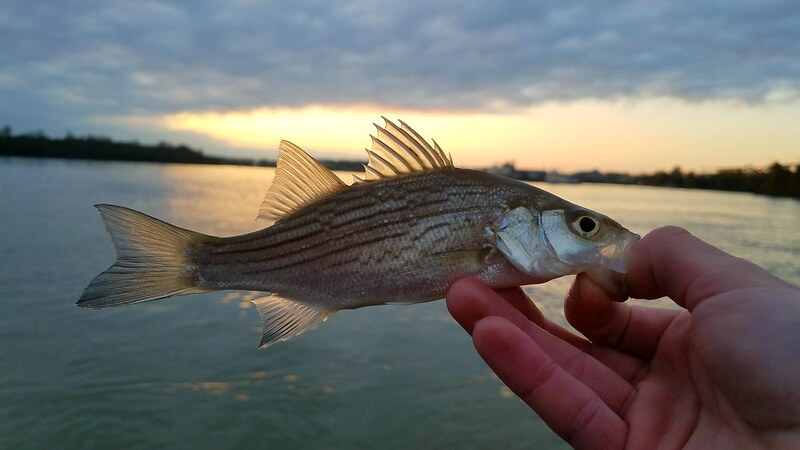 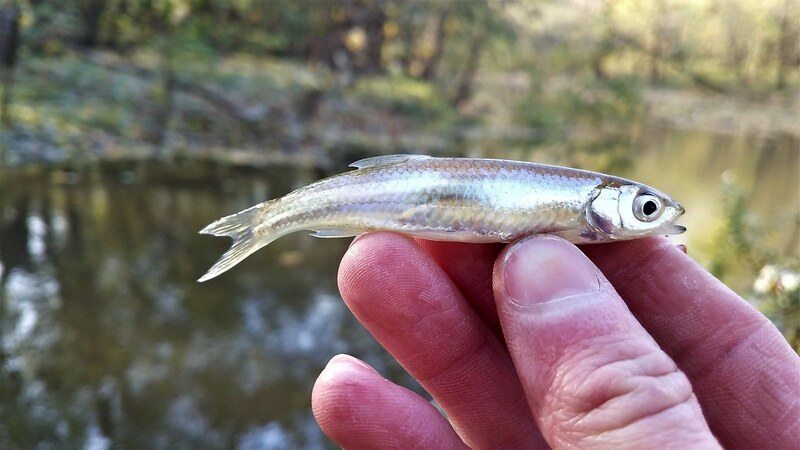 When the water is high and I’m bank fishing I look for a few key characteristics: when the water is flowing fast you will do best finding current brakes where the larger fish will move to in search of a resting place and bait. 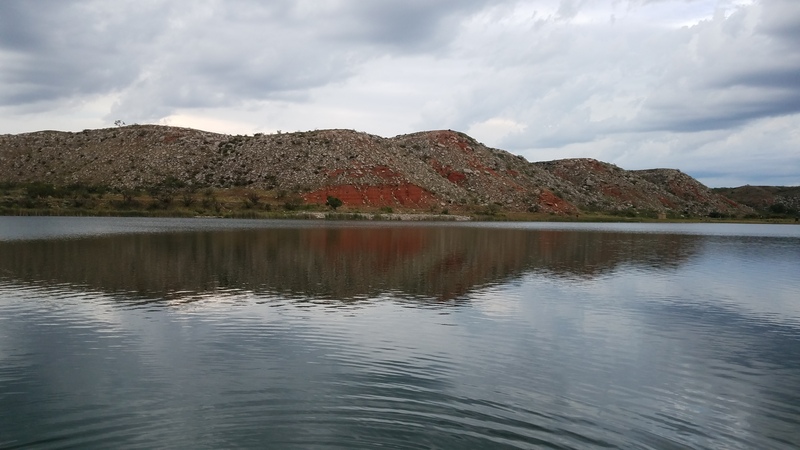 The fishing spot I choose had this, with the water levels how they are there is an underwater outcropping that goes out 30 feet. 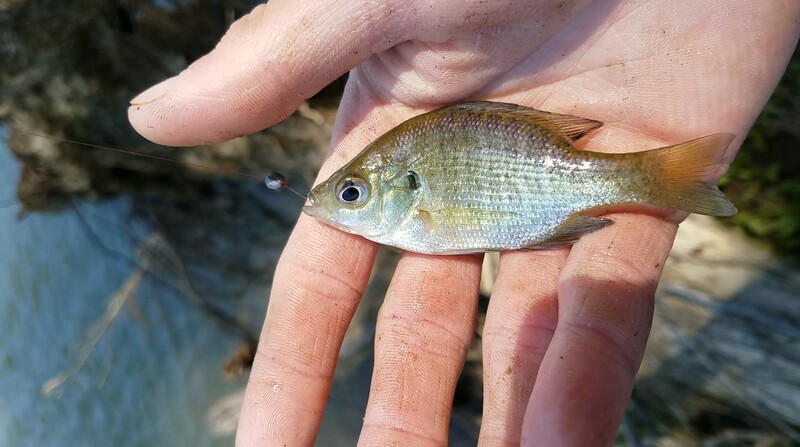 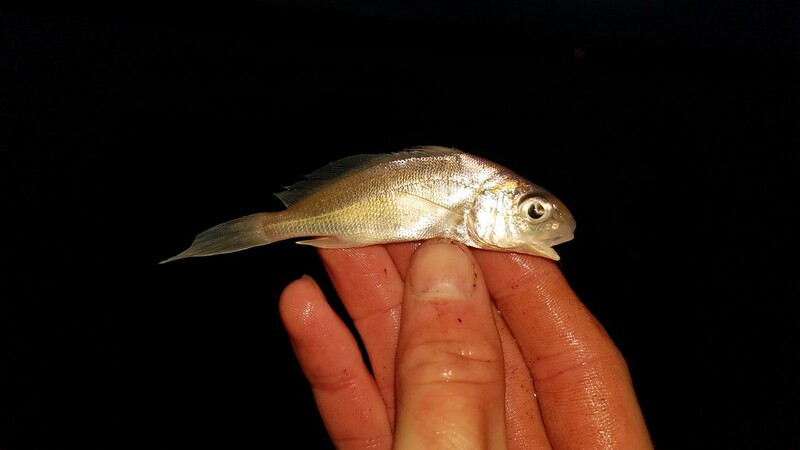 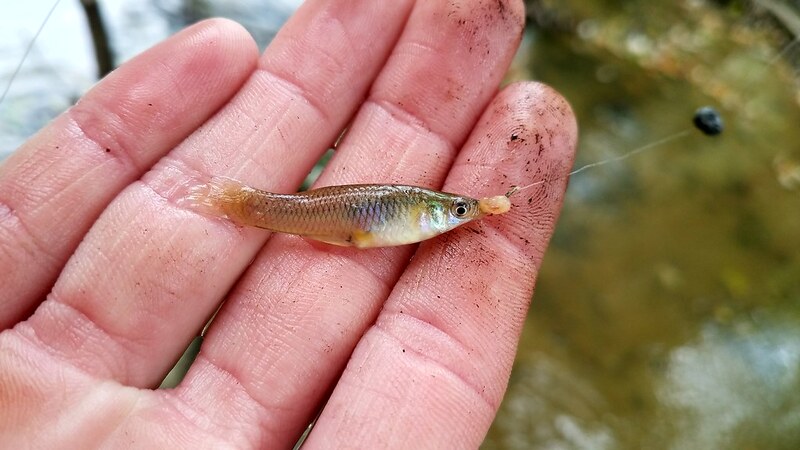 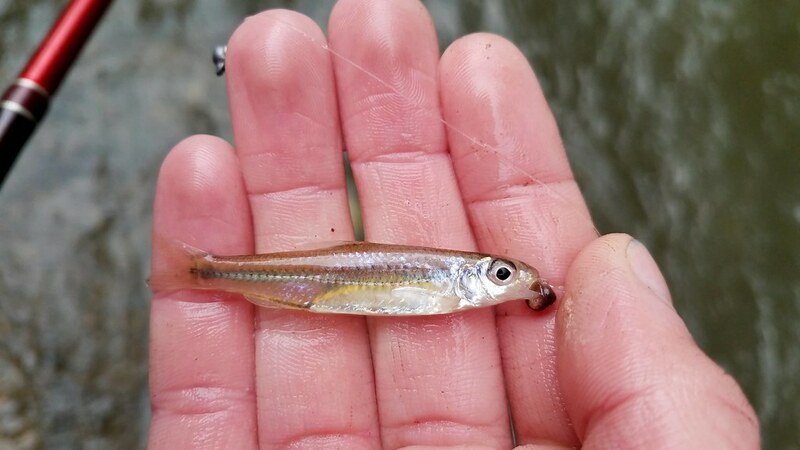 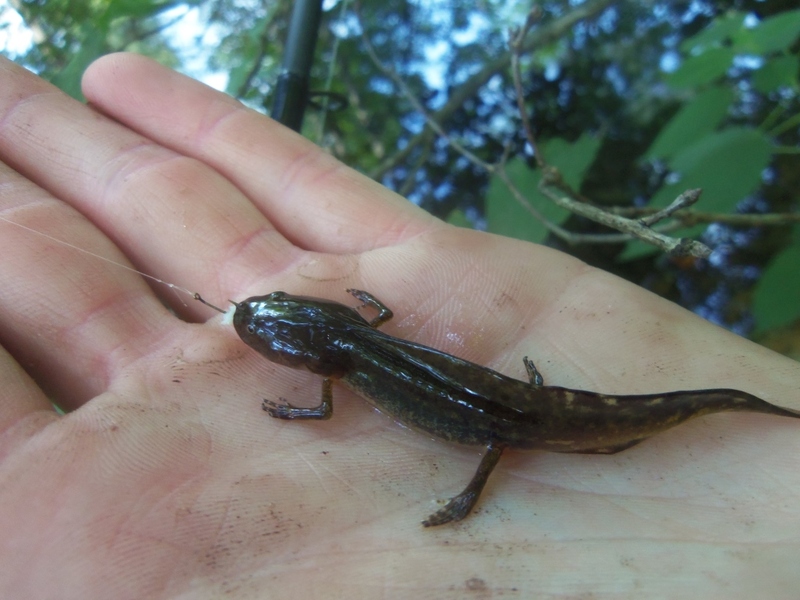 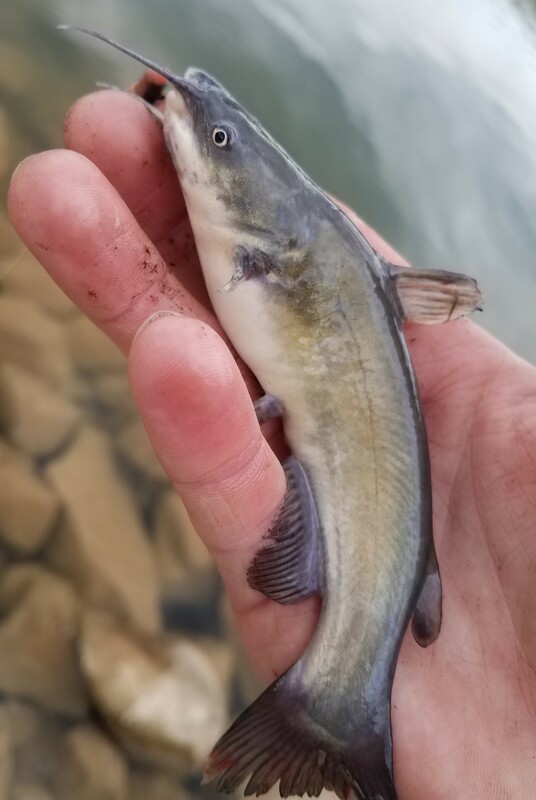 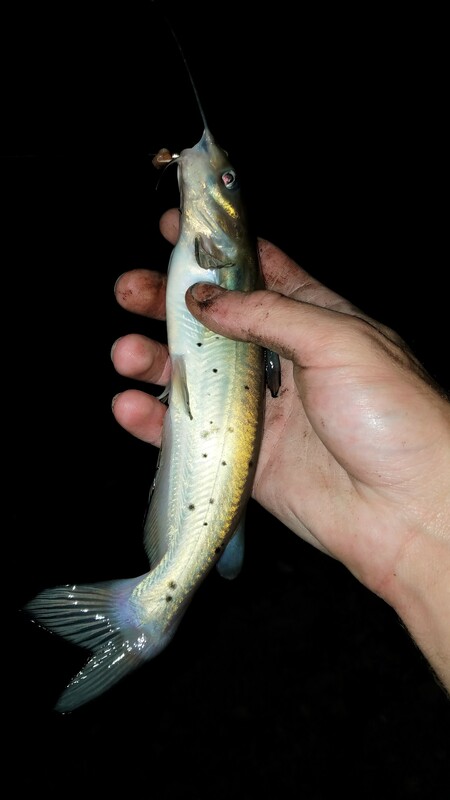 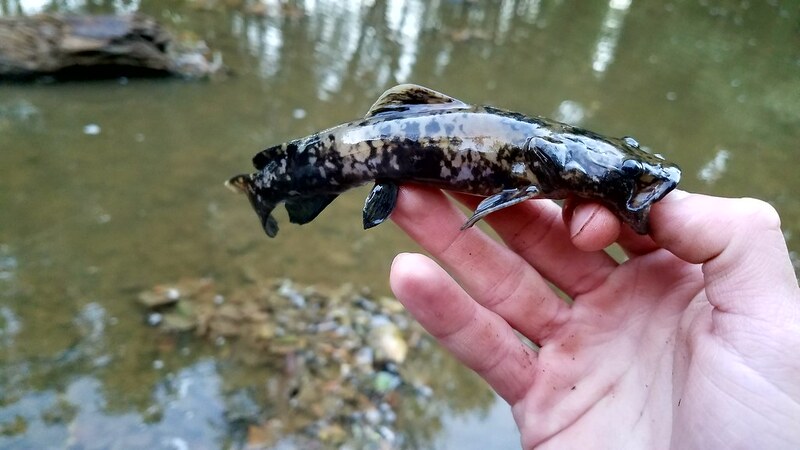 This created a huge eddy and was the perfect place to throw in live bait. 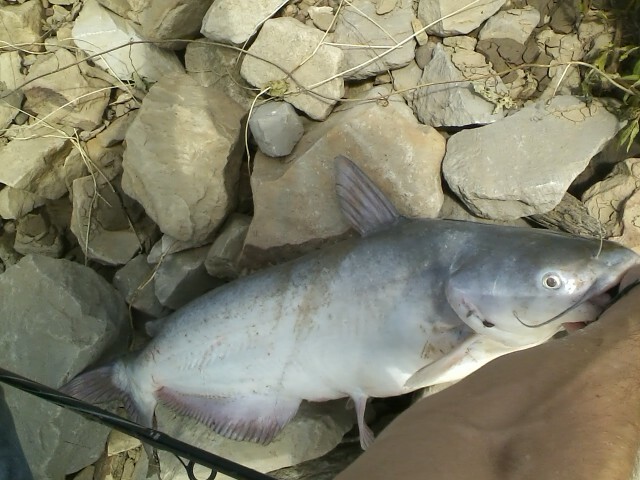 The first two fish were blue catfish and I caught them on some cut shad that I had in the freezer. 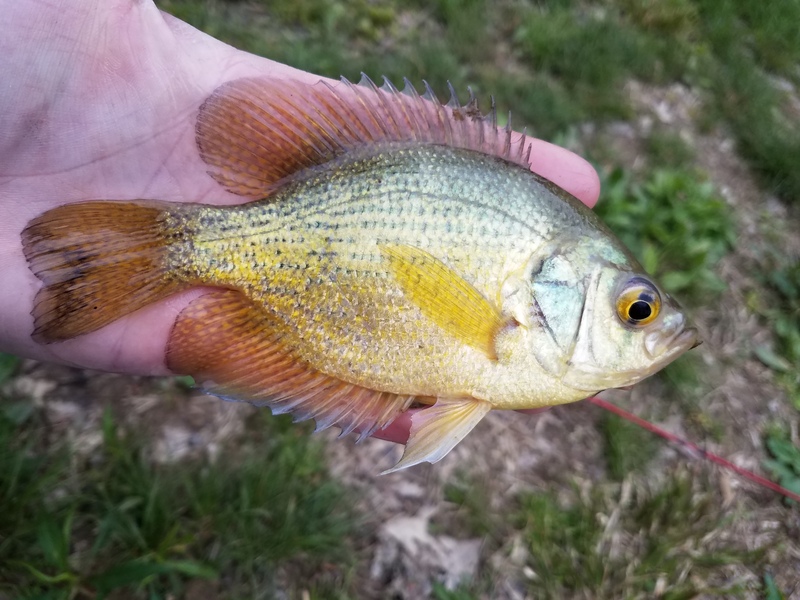 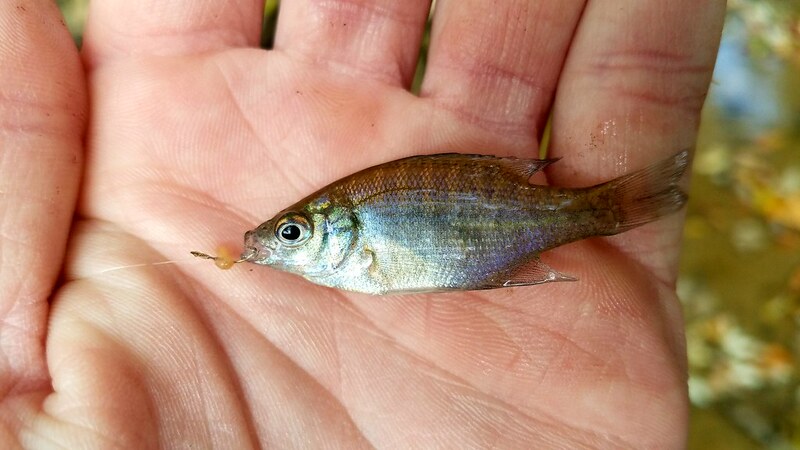 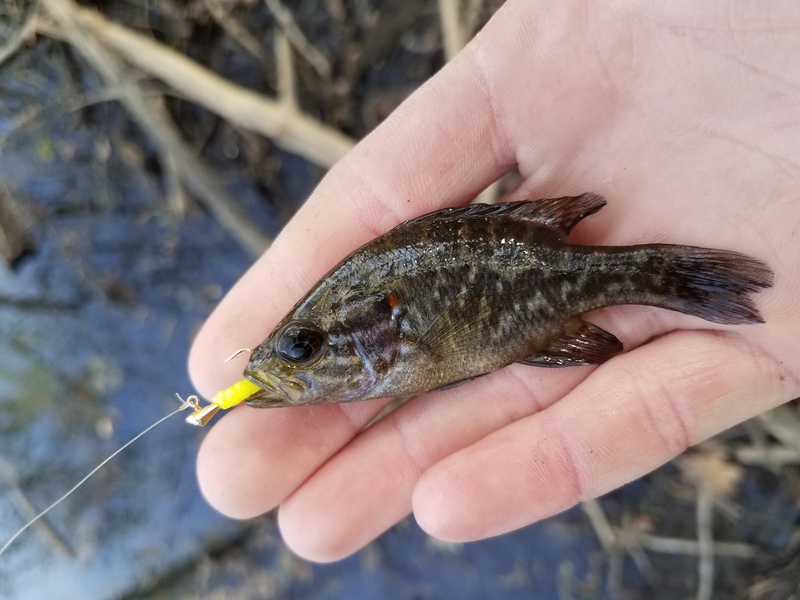 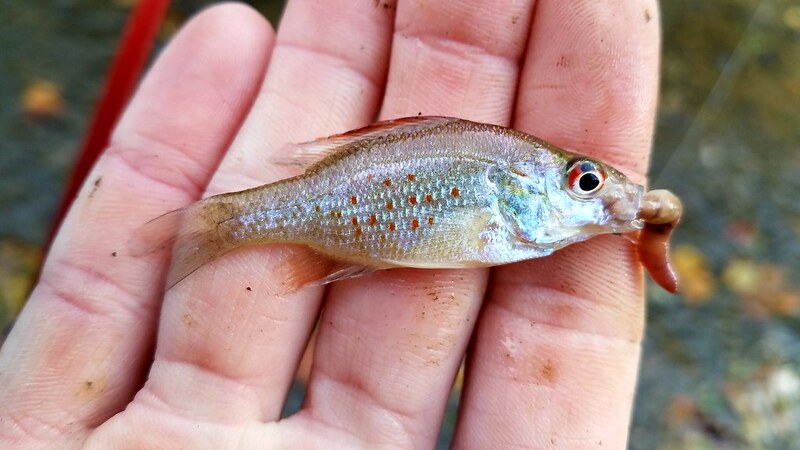 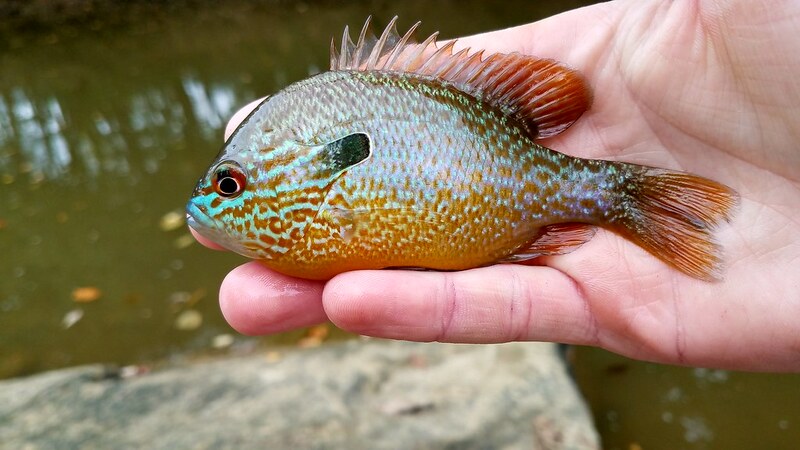 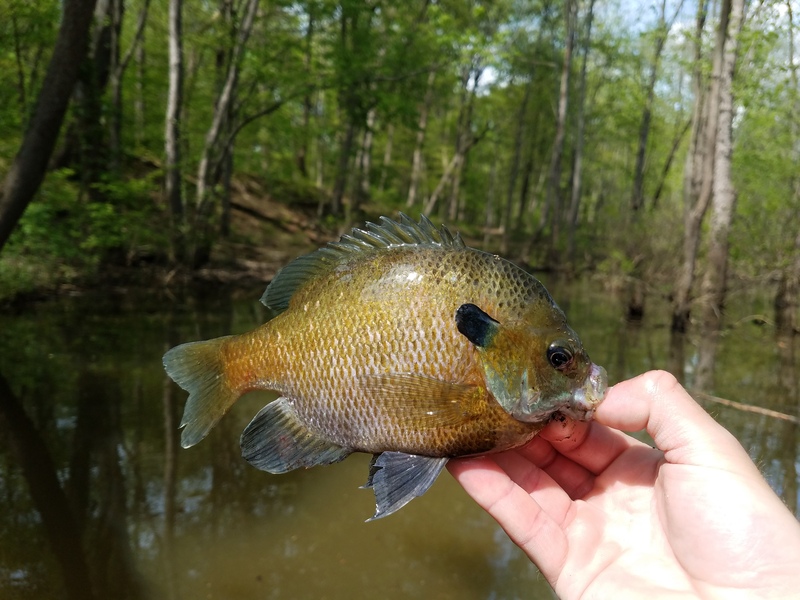 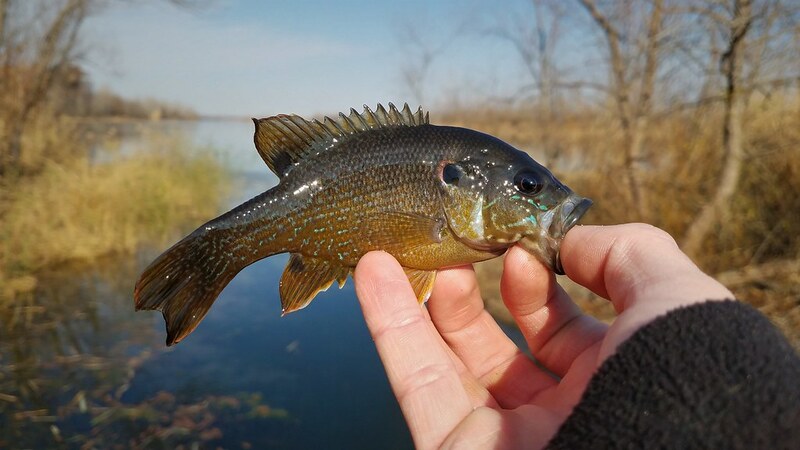 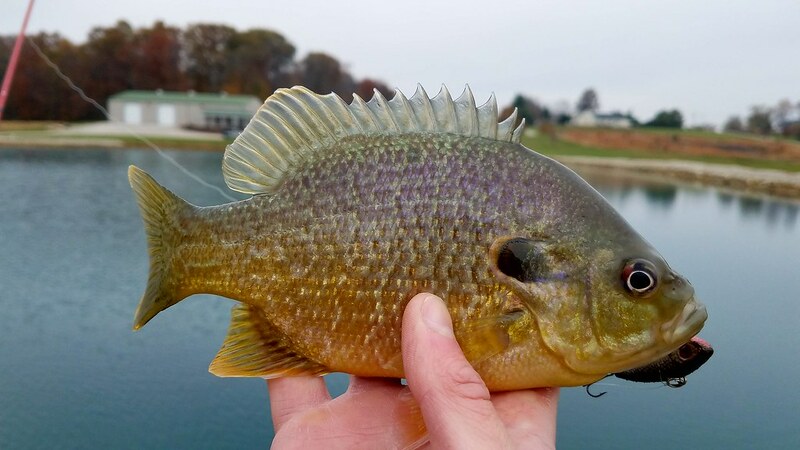 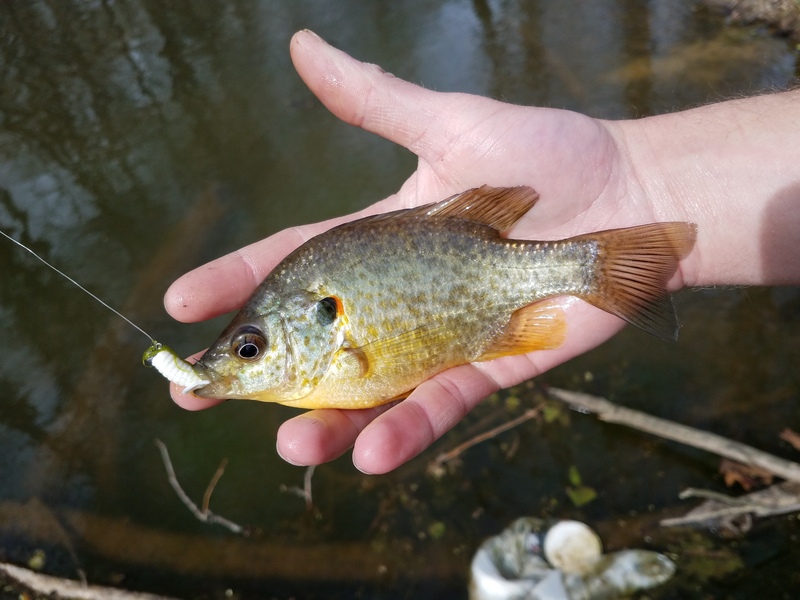 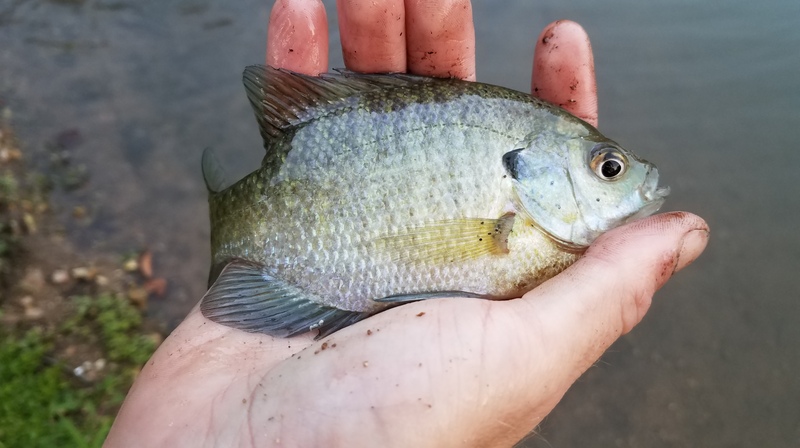 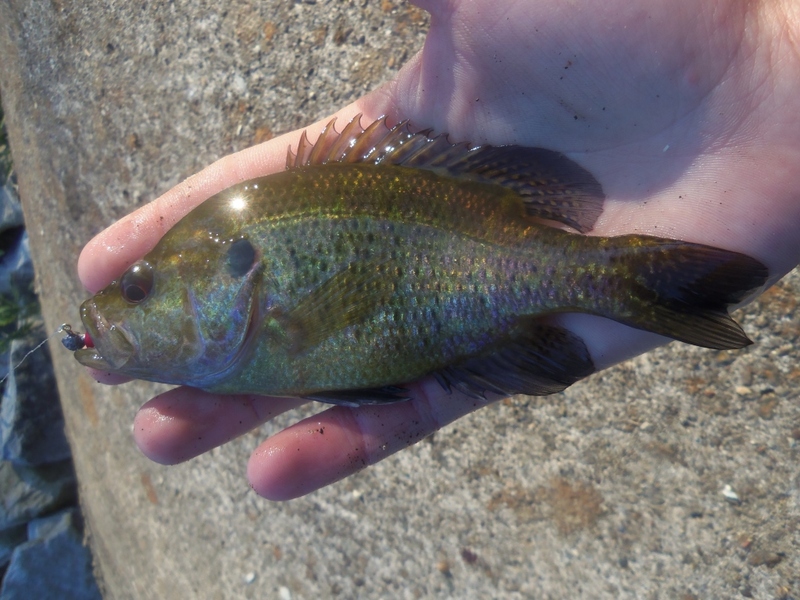 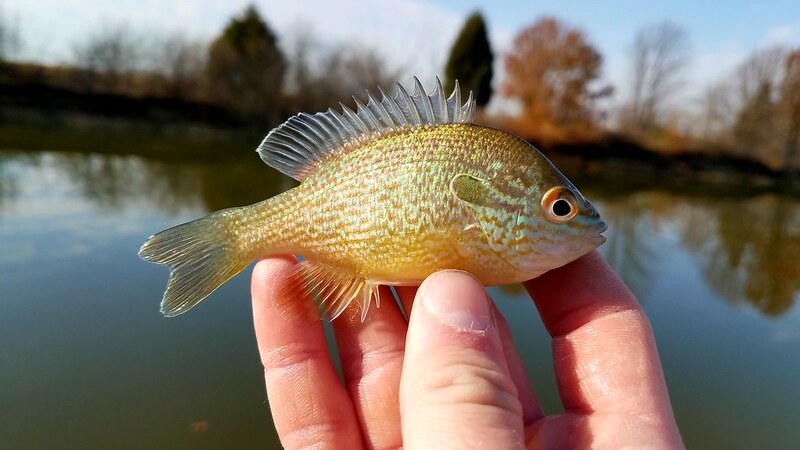 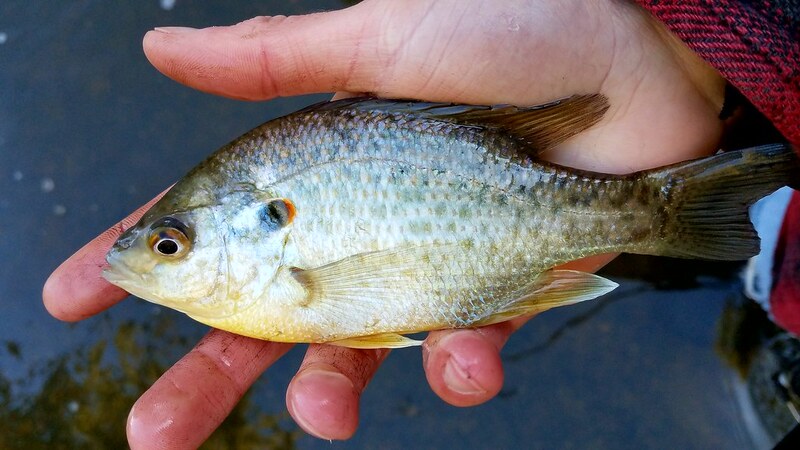 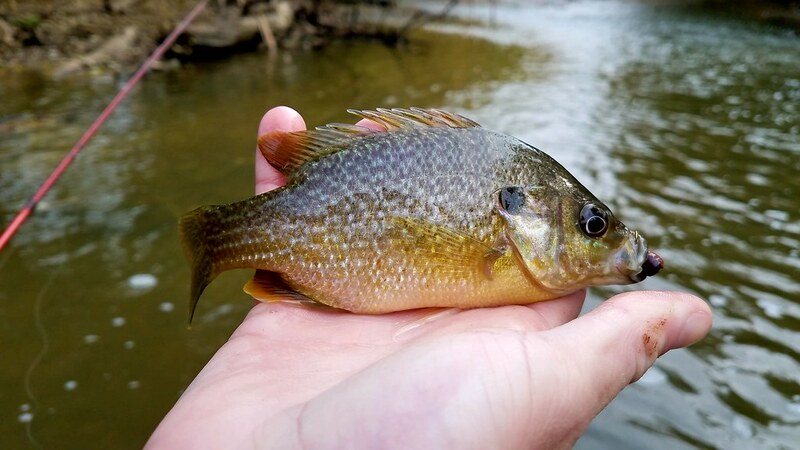 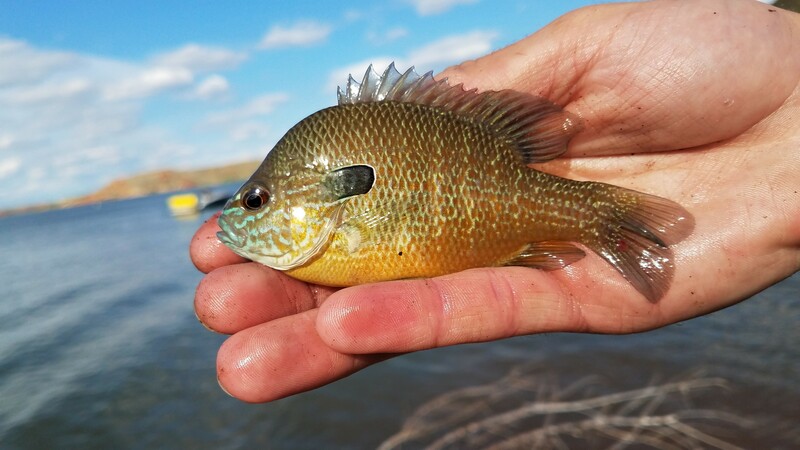 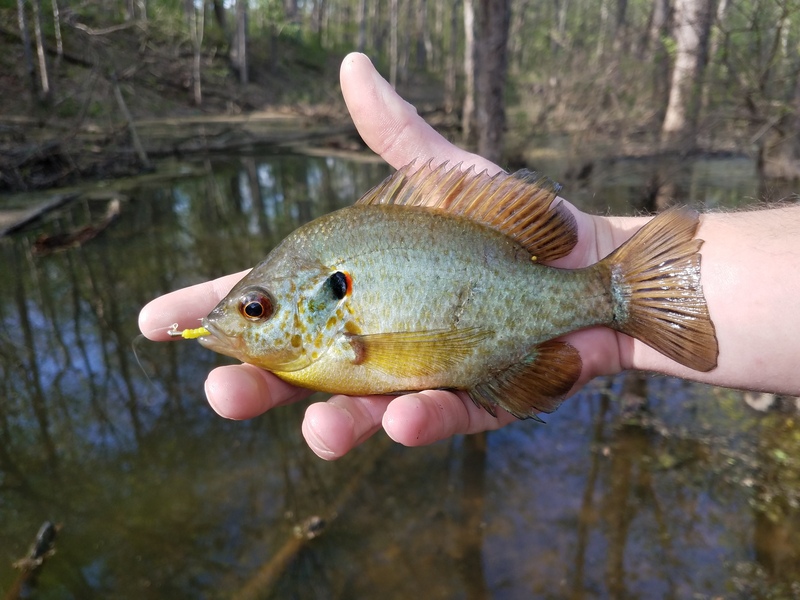 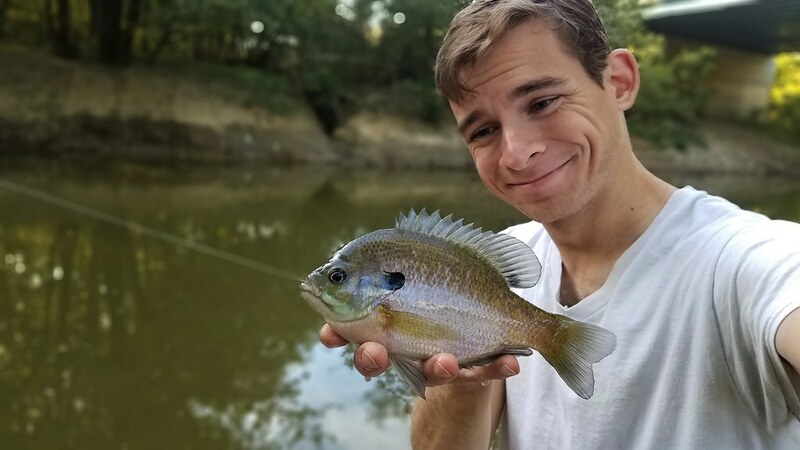 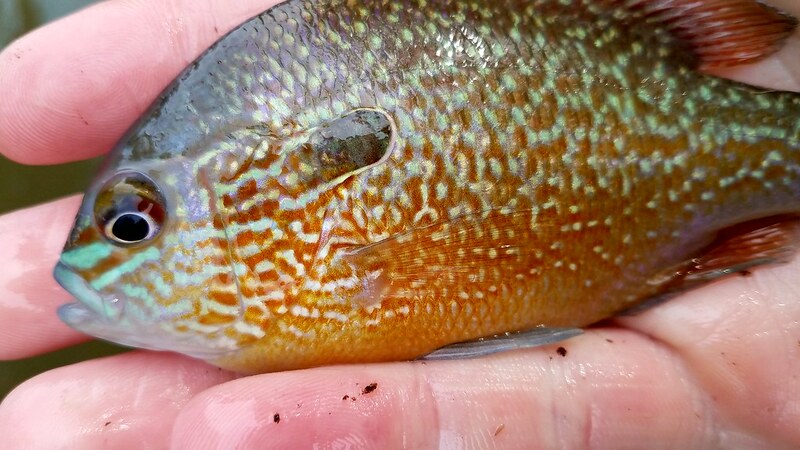 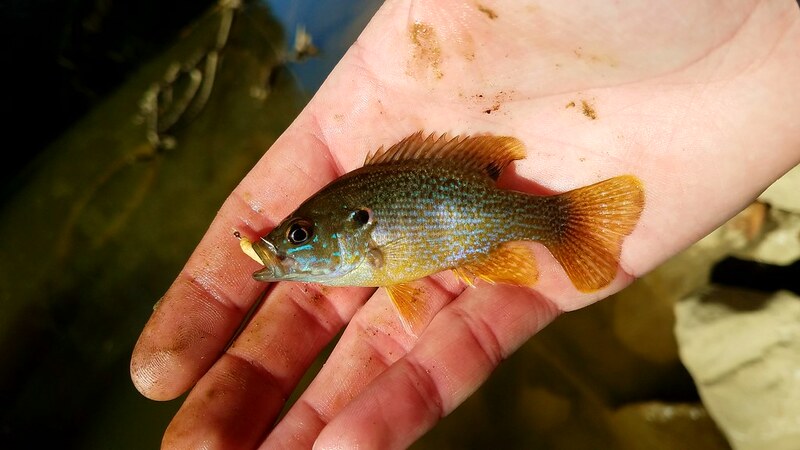 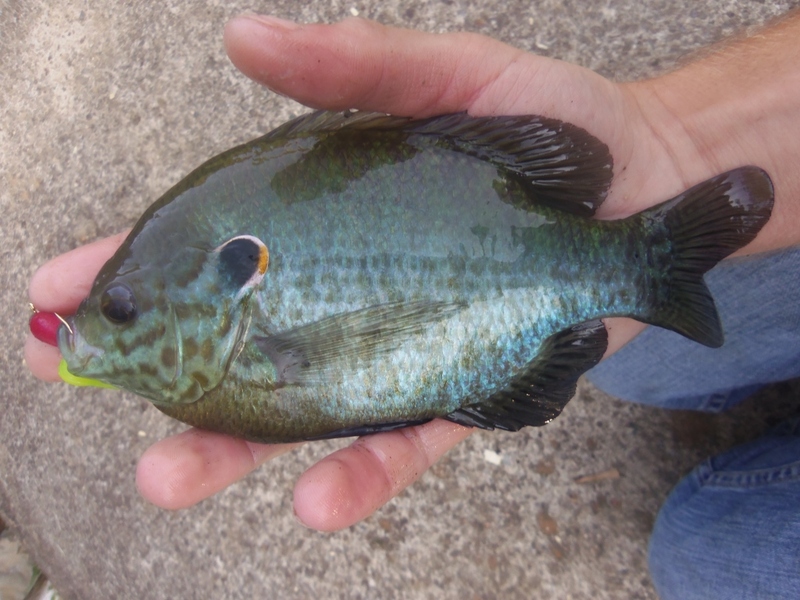 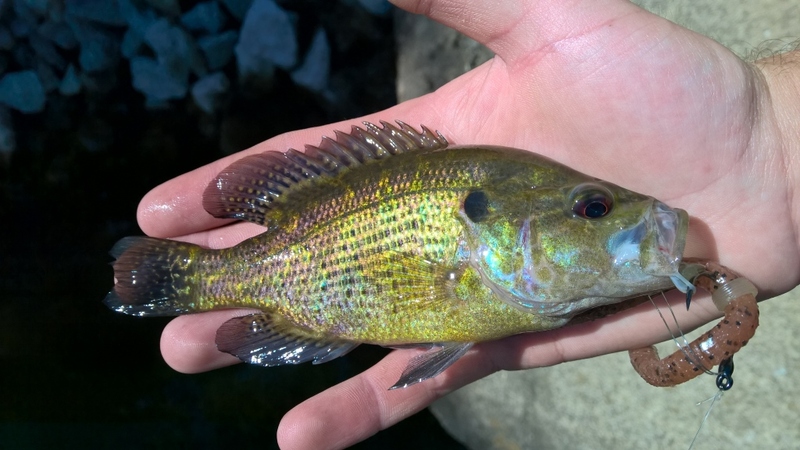 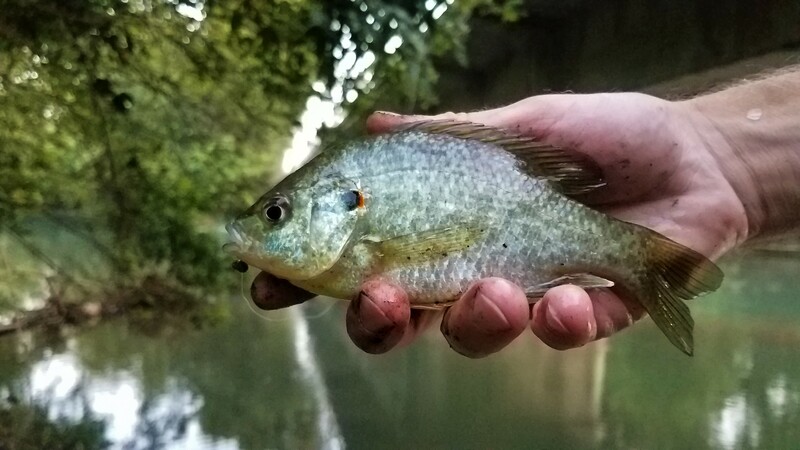 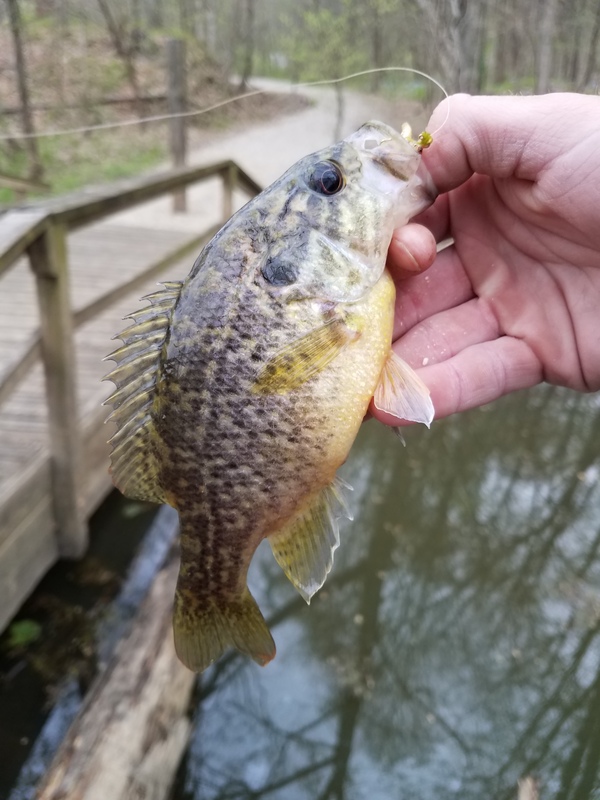 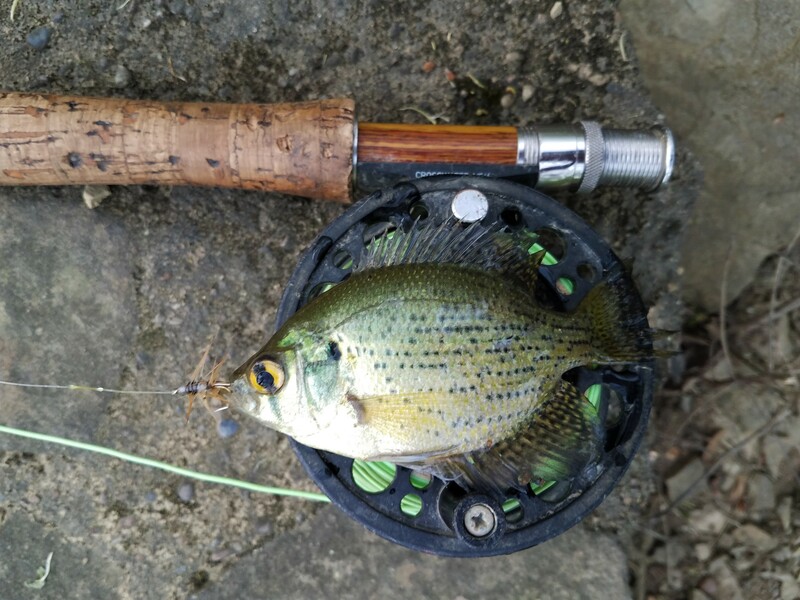 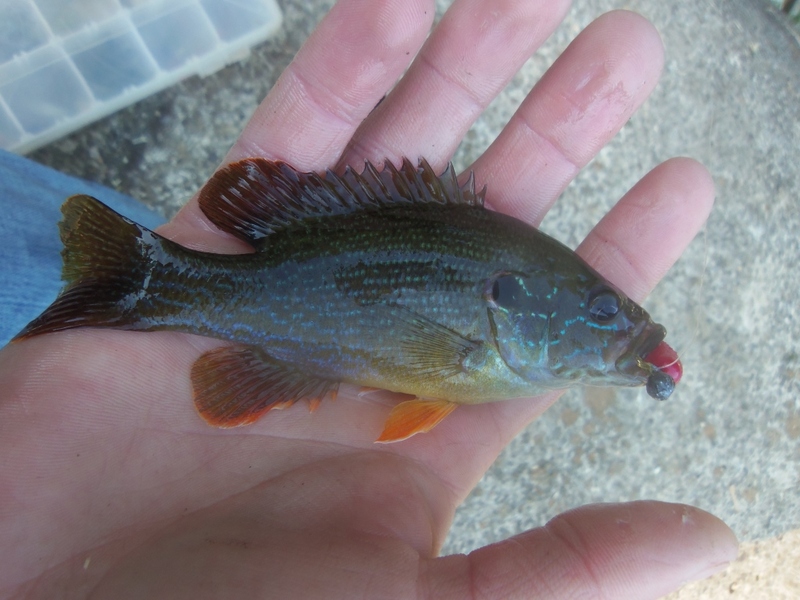 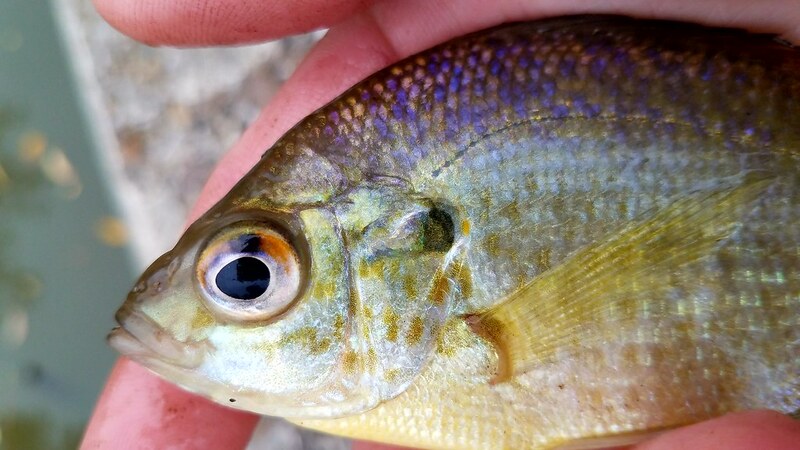 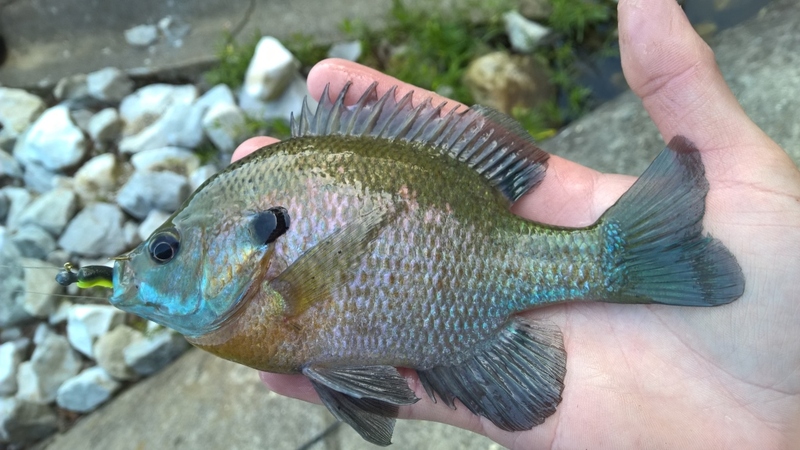 But I was all out of shad at this point so I went out and caught some bluegill to use as live bait. 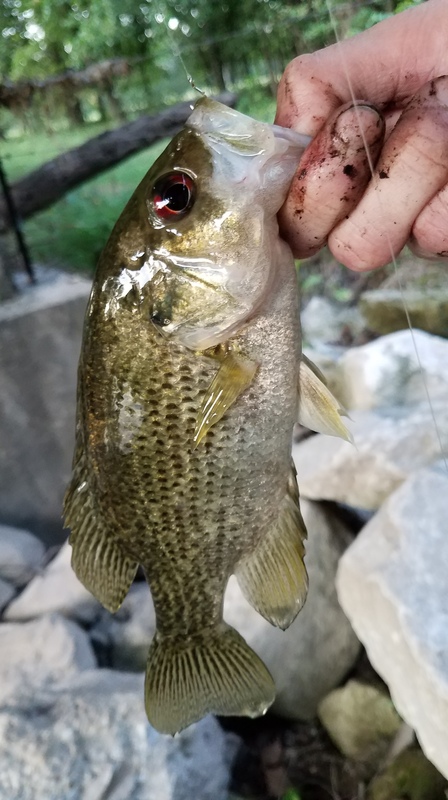 This produced some wonderful results very quickly. 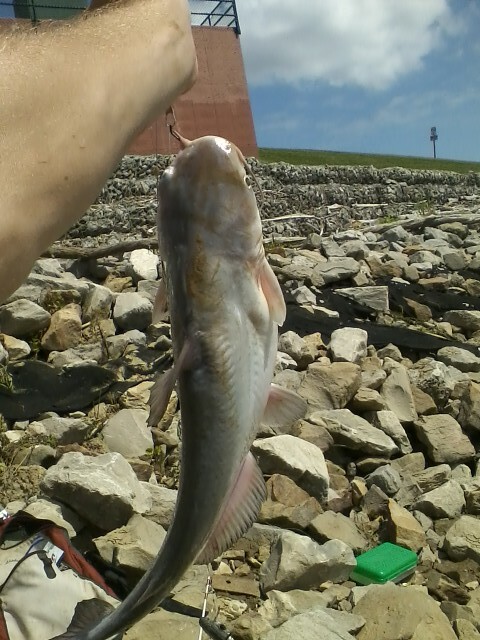 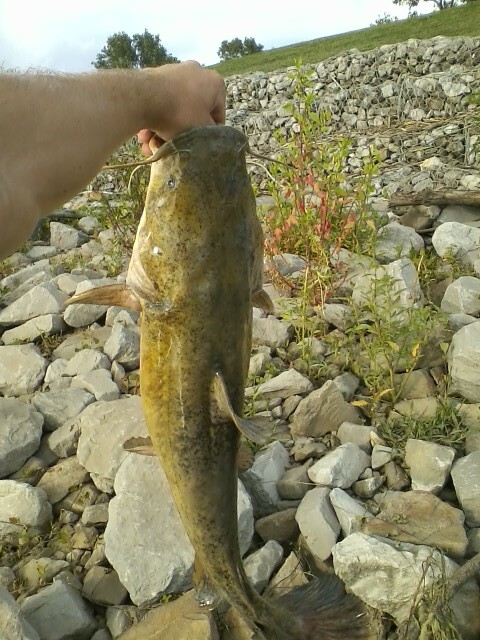 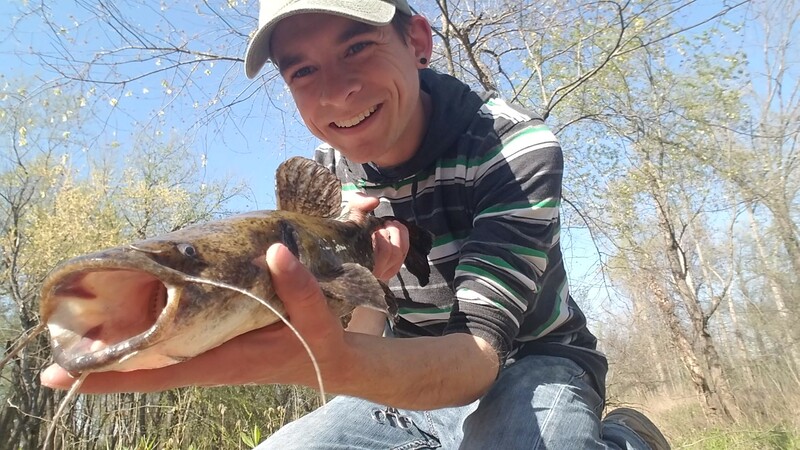 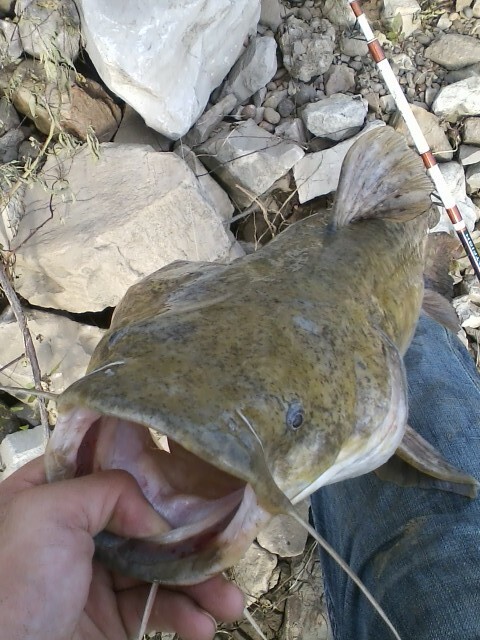 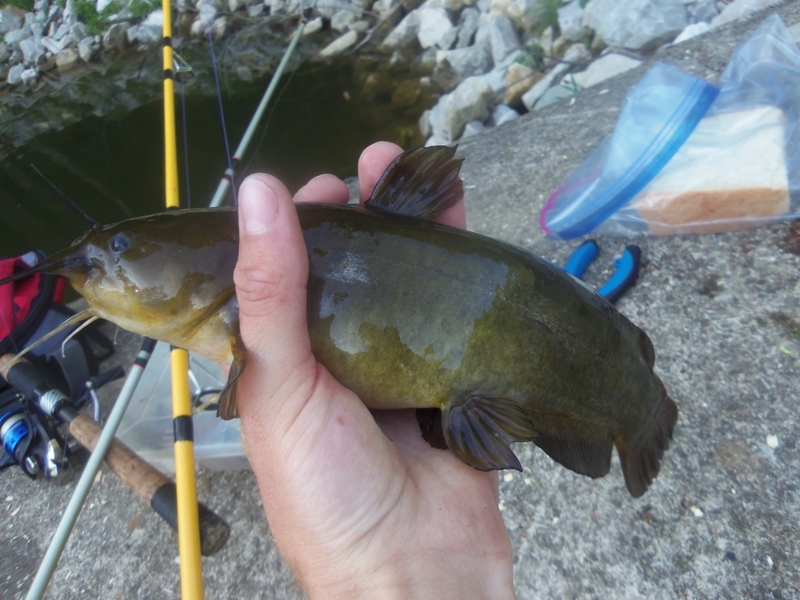 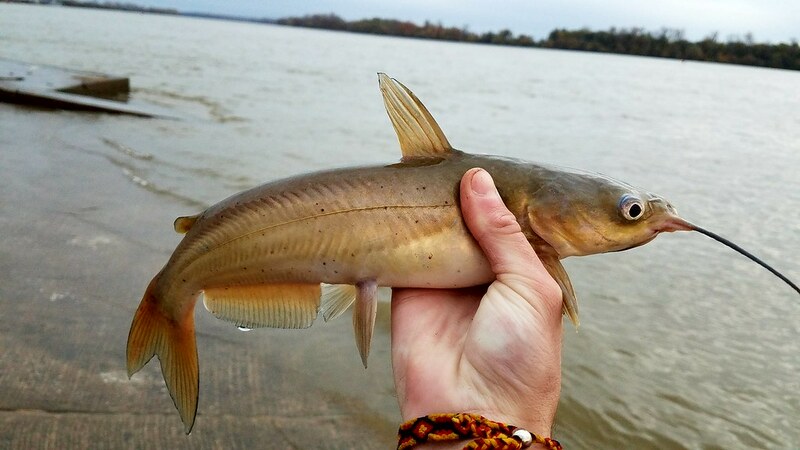 The first strike being this 25 inch flathead catfish. 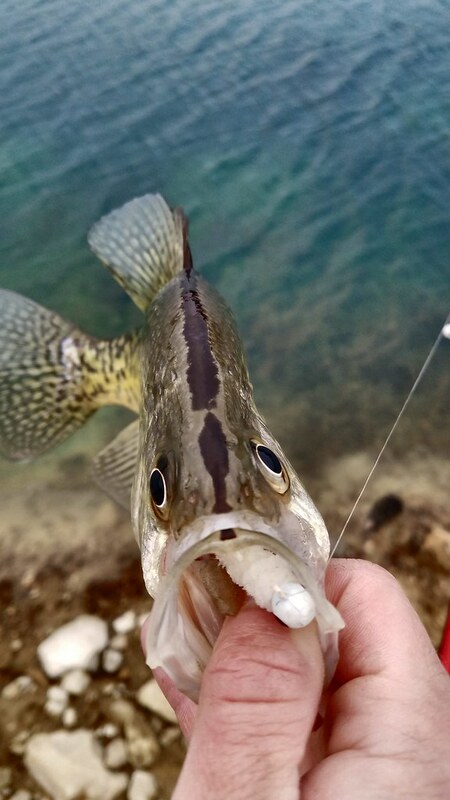 After this I had two gigantic hits but they ran so hard and so quickly that they snapped my line. 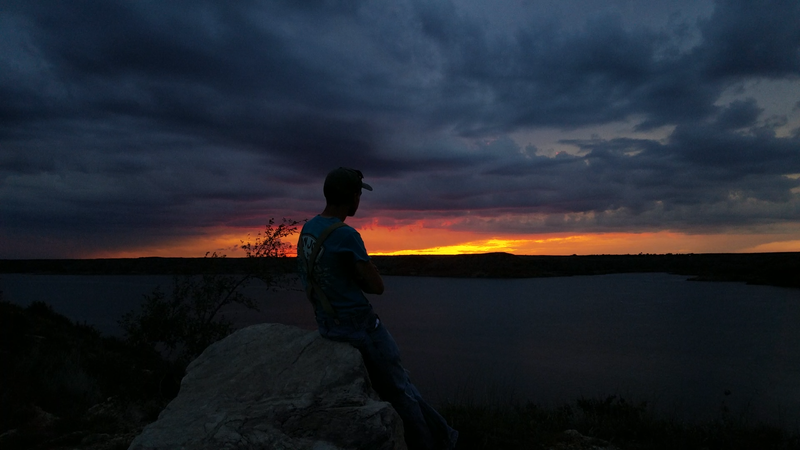 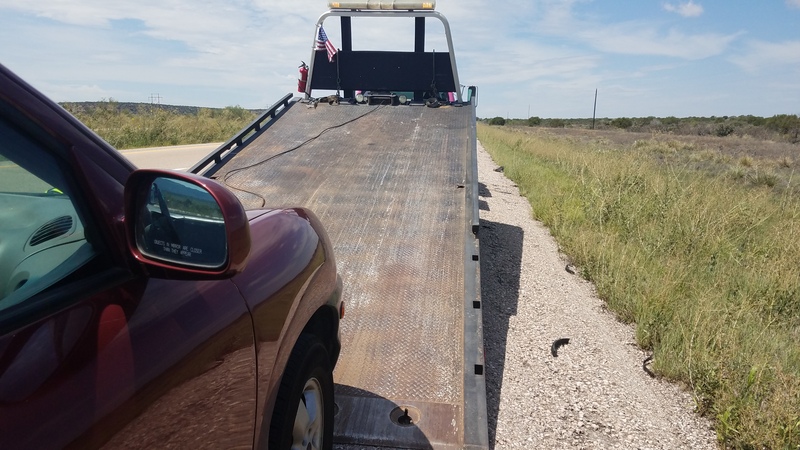 Which leads me to the lesson I learned and something I’m going to have to experiment with. 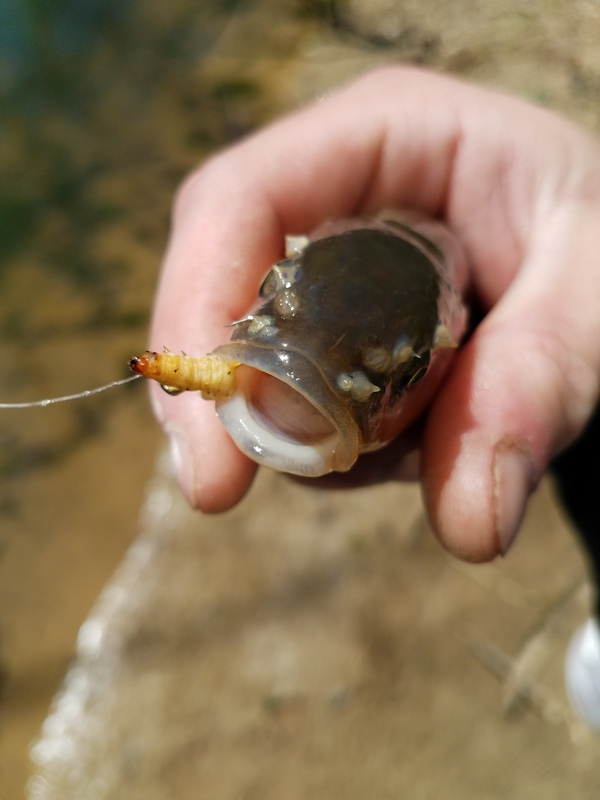 A lot of my rigs use the dropper lopper knot, but recent events have shown that even with very low drag that this knot creates a huge weak point in the line and causes the line to break with way less strain than other knots would cause.